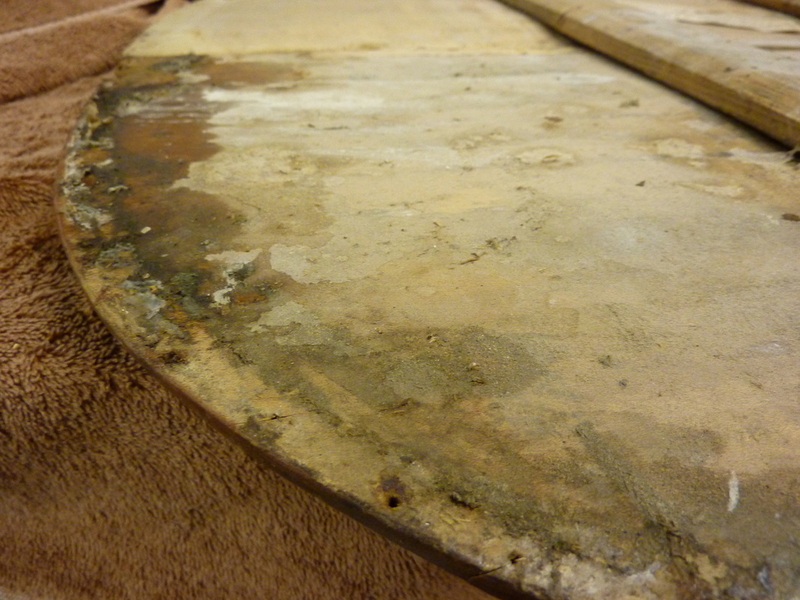 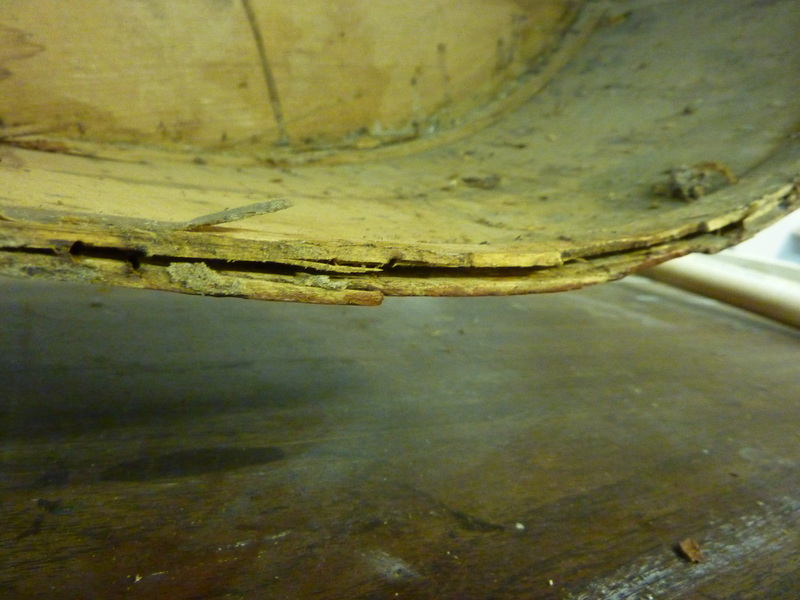 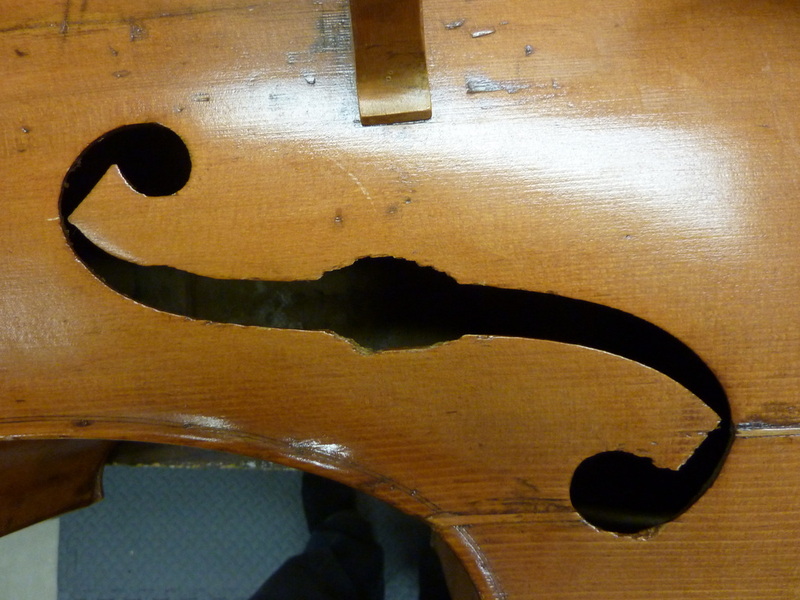 This bass has seen better days, that is a certainty. 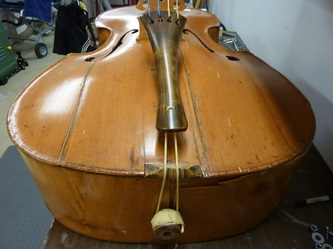 However, this bass does have a cool history. 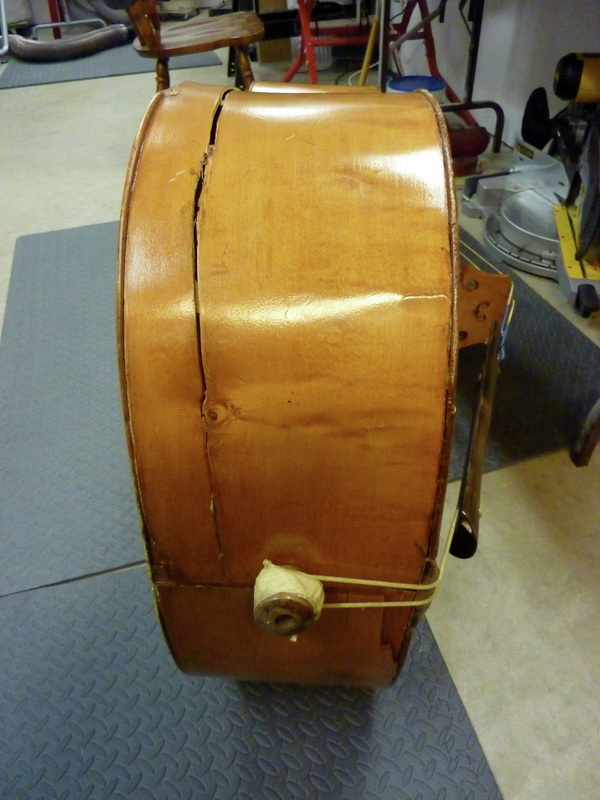 It was apparently owned and used by a dance band that toured around southern Ontario. 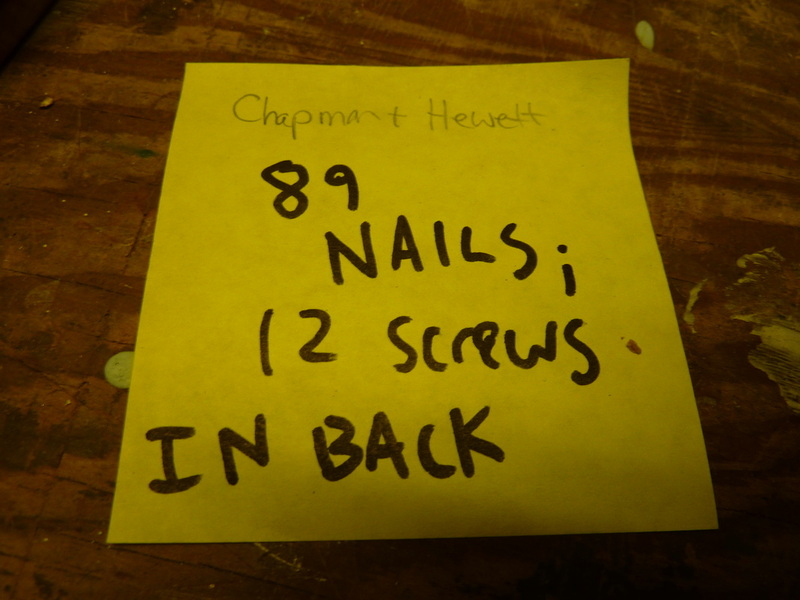 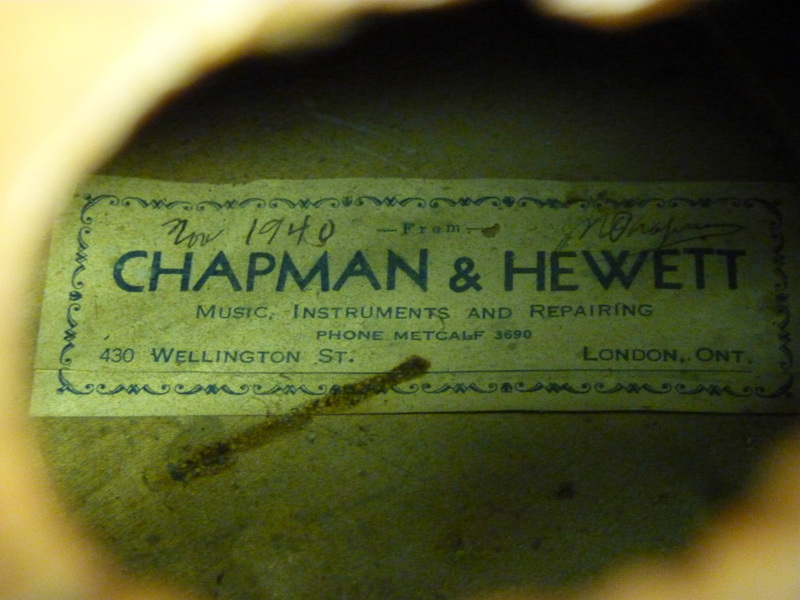 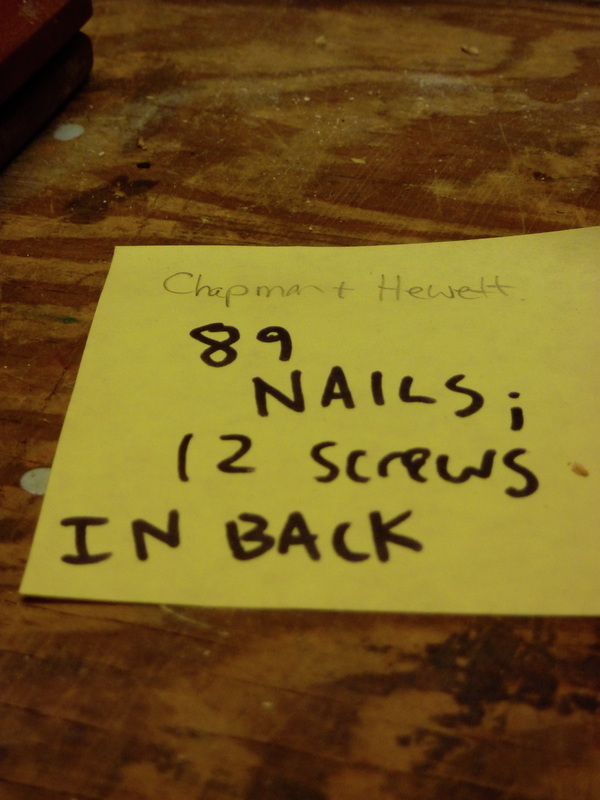 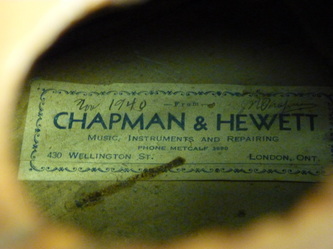 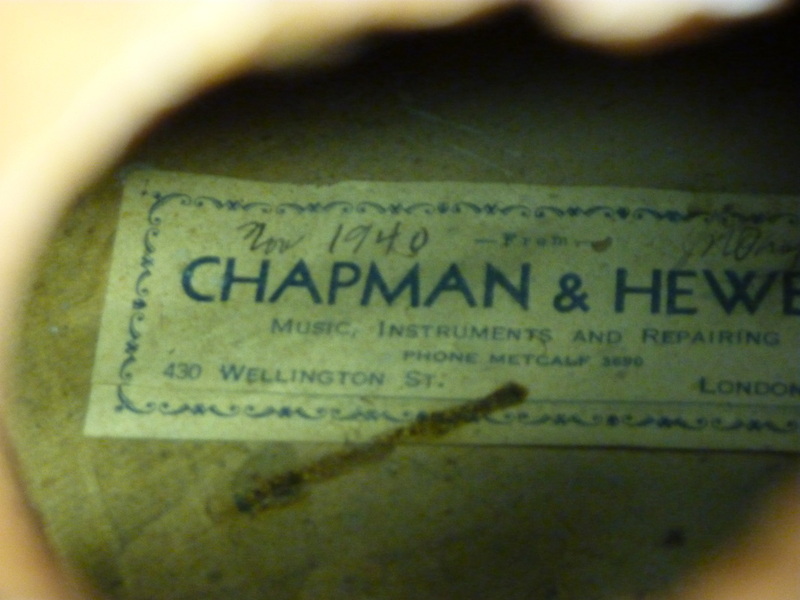 The interior label reads: Chapman and Hewett (London, ON) and there is handwritten date giving it a birthdate of 1940 - pretty cool. 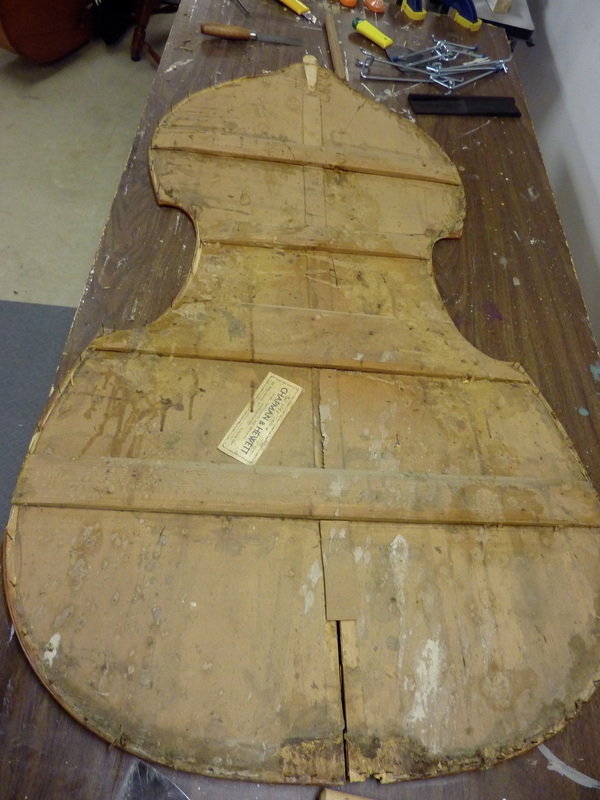 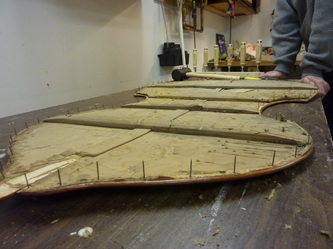 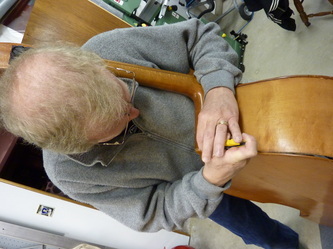 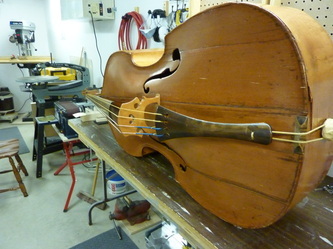 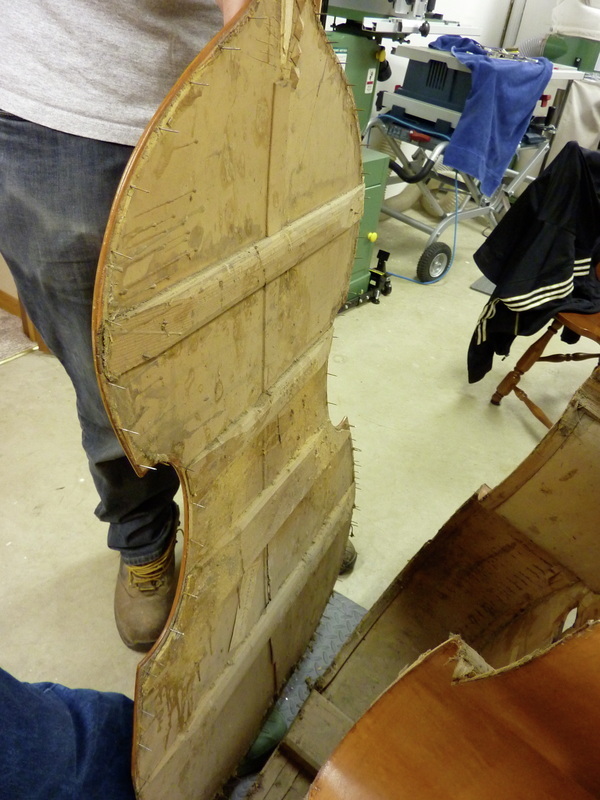 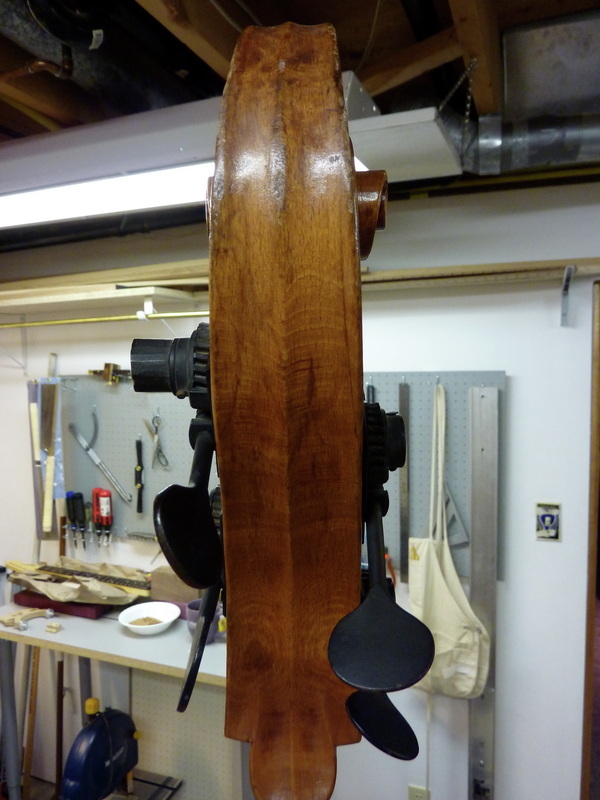 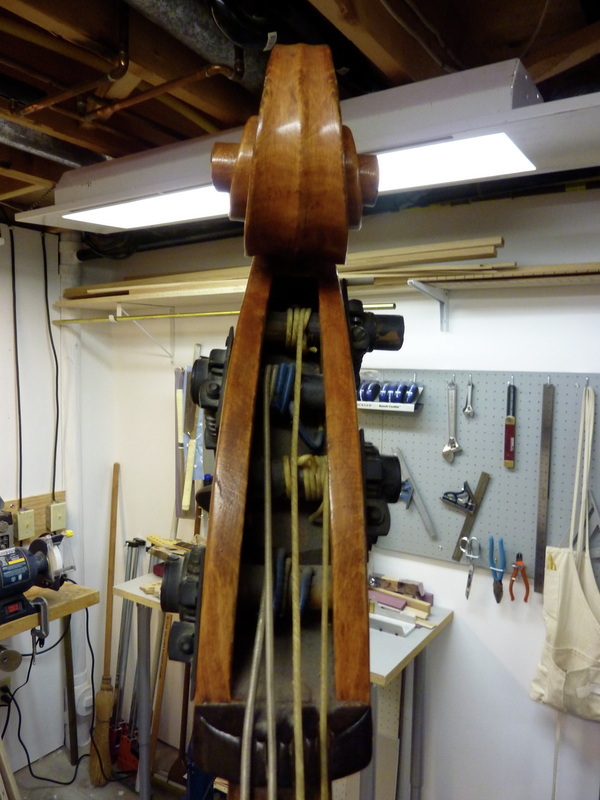 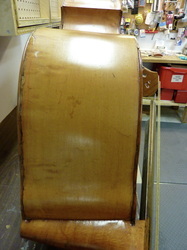 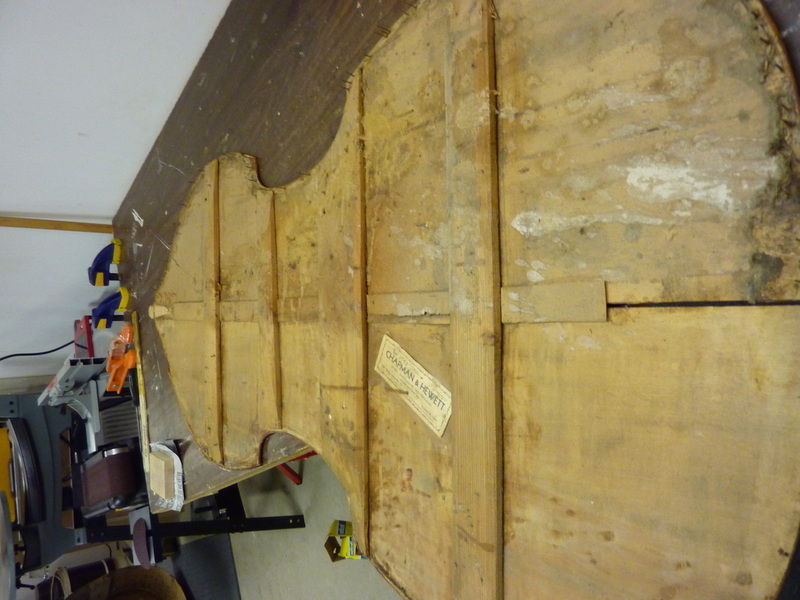 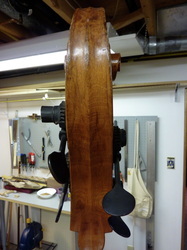 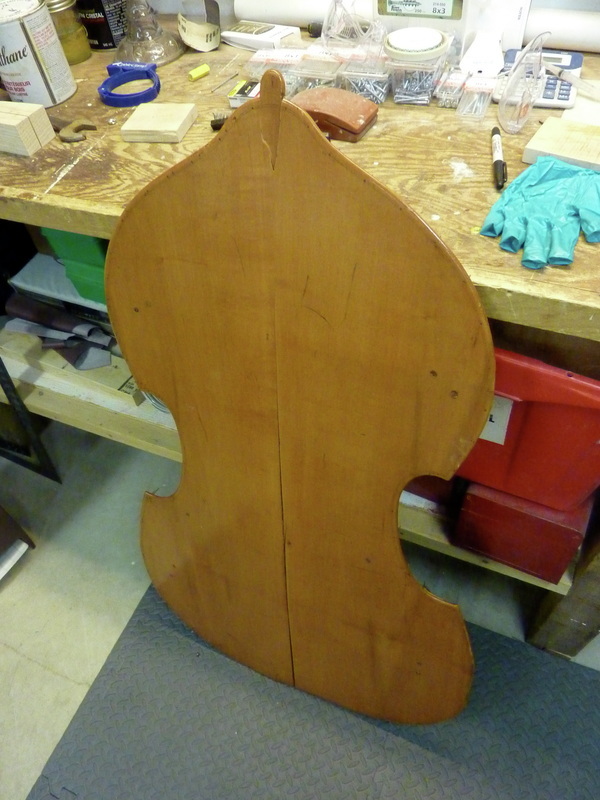 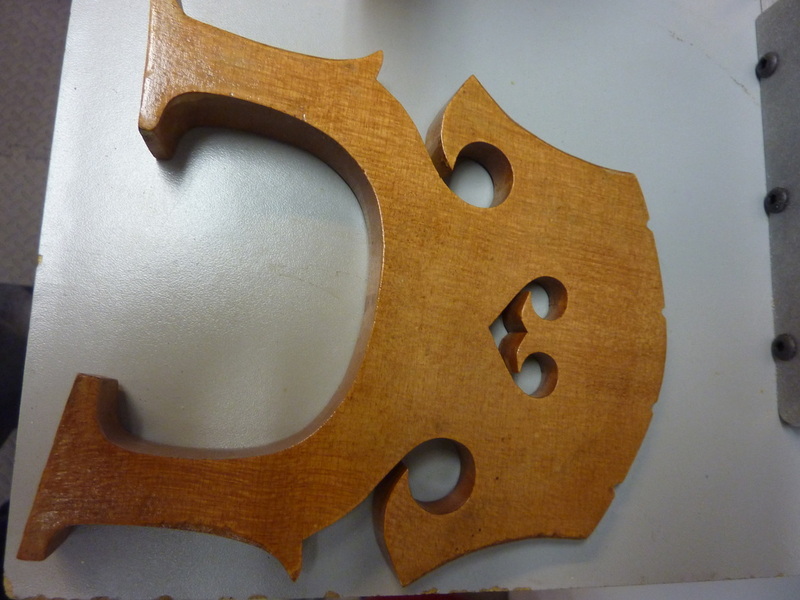 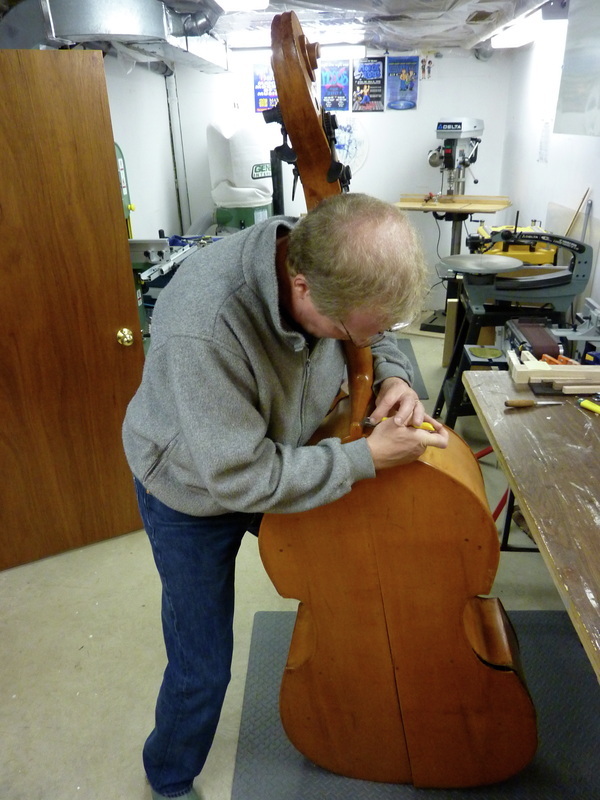 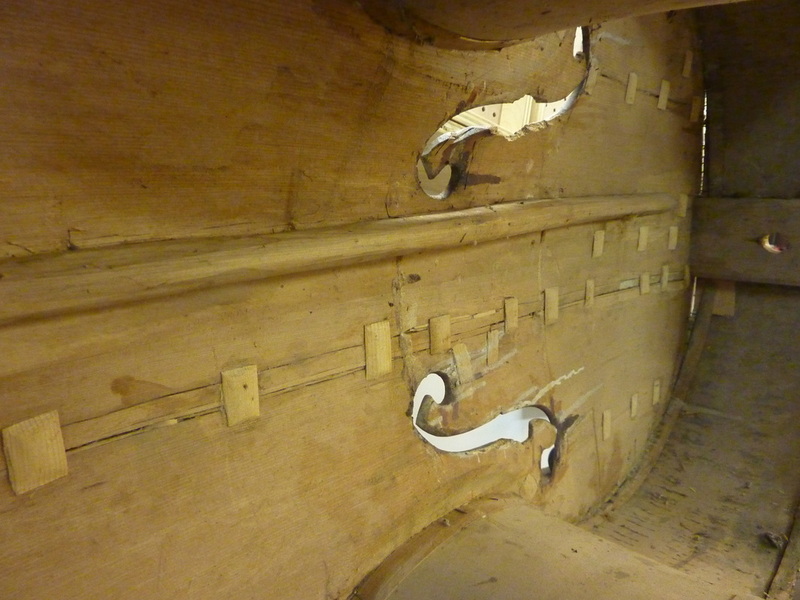 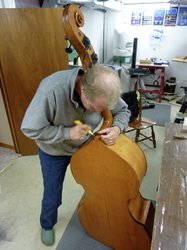 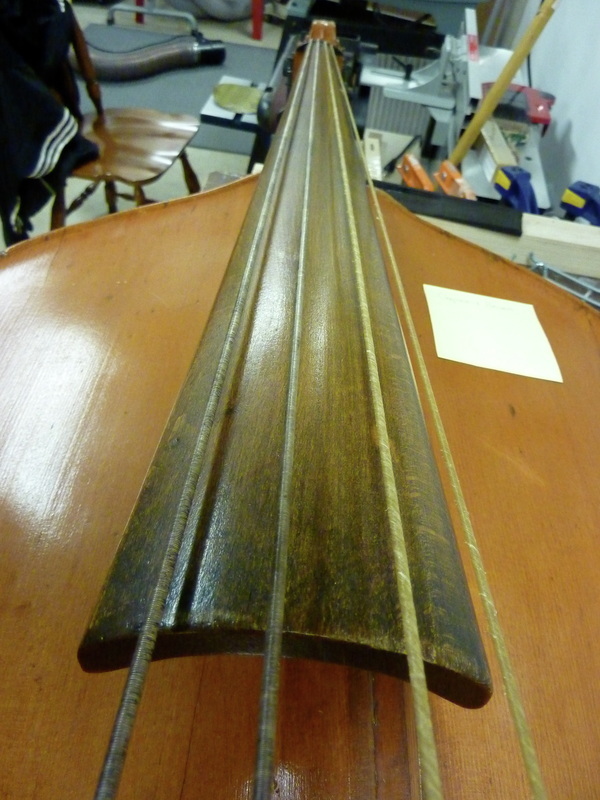 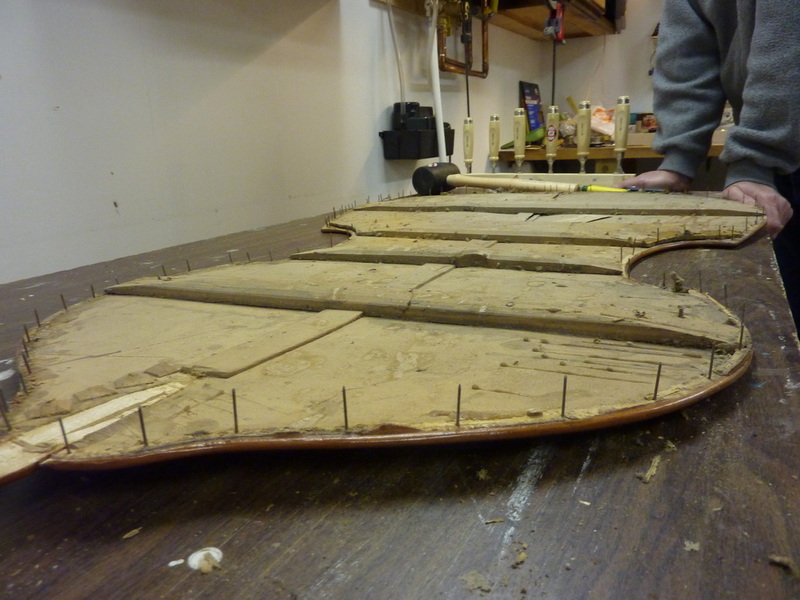 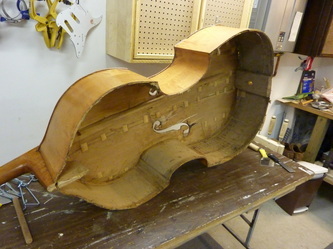 I was under the impression that it was a plywood bass, but it is in fact a full-on wooden bass. Yes, this bass is old. 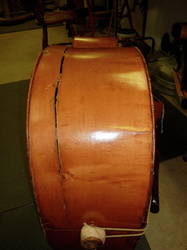 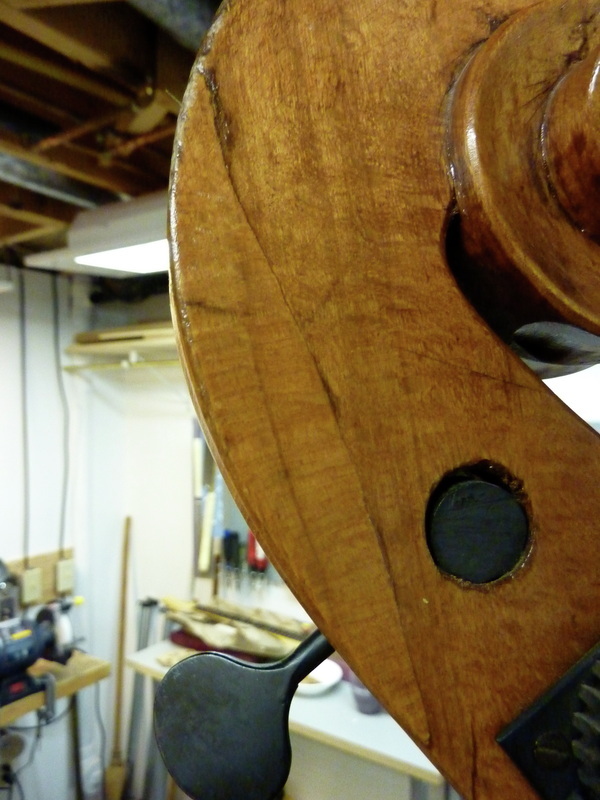 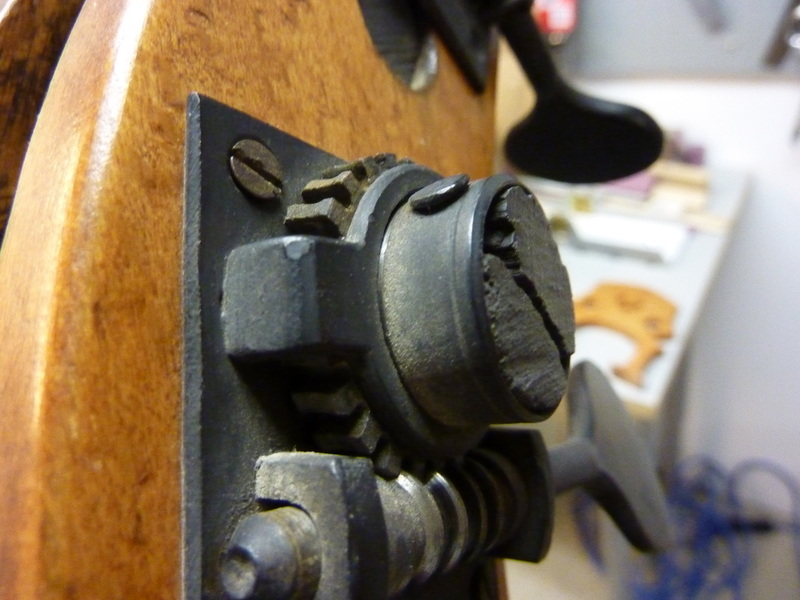 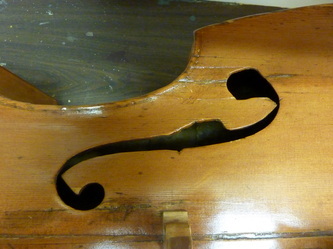 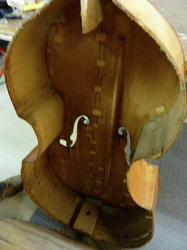 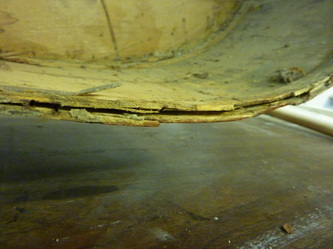 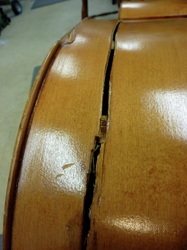 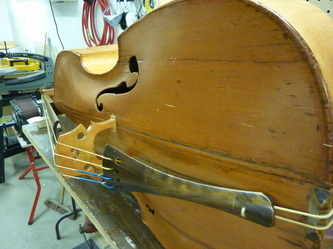 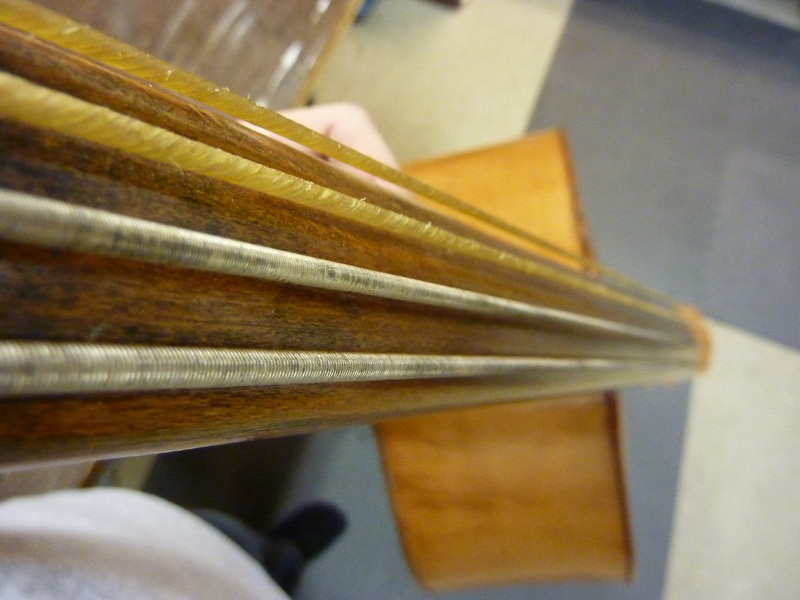 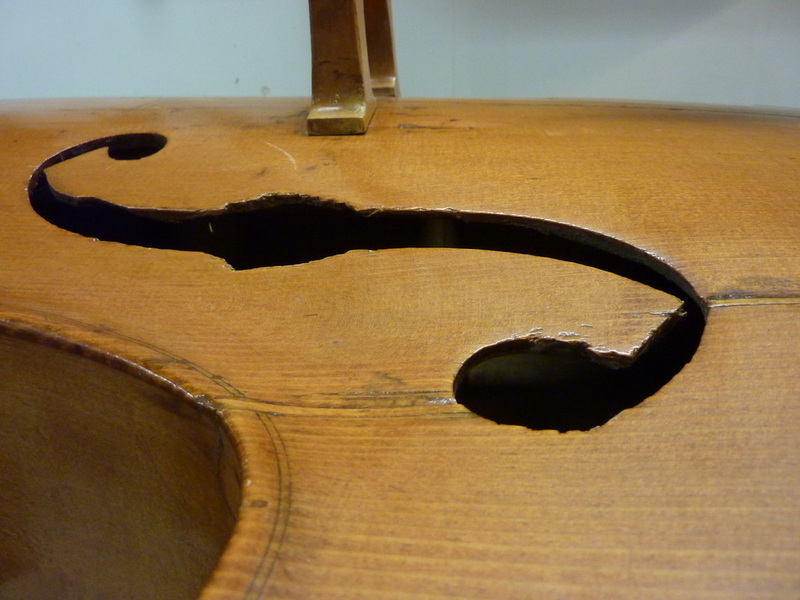 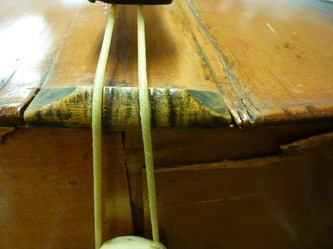 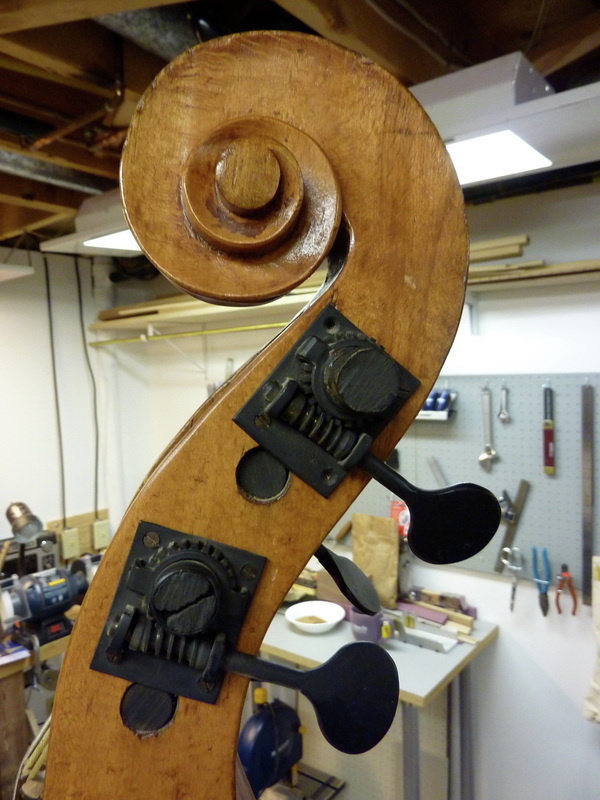 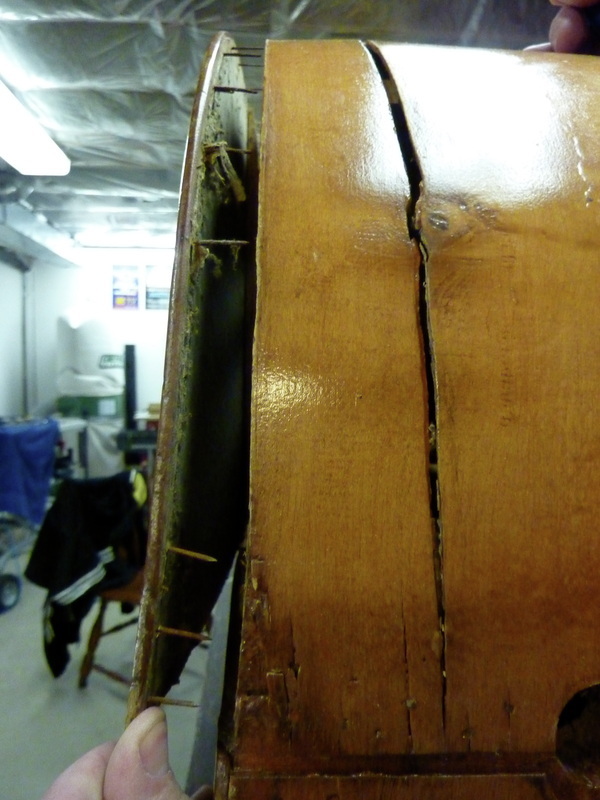 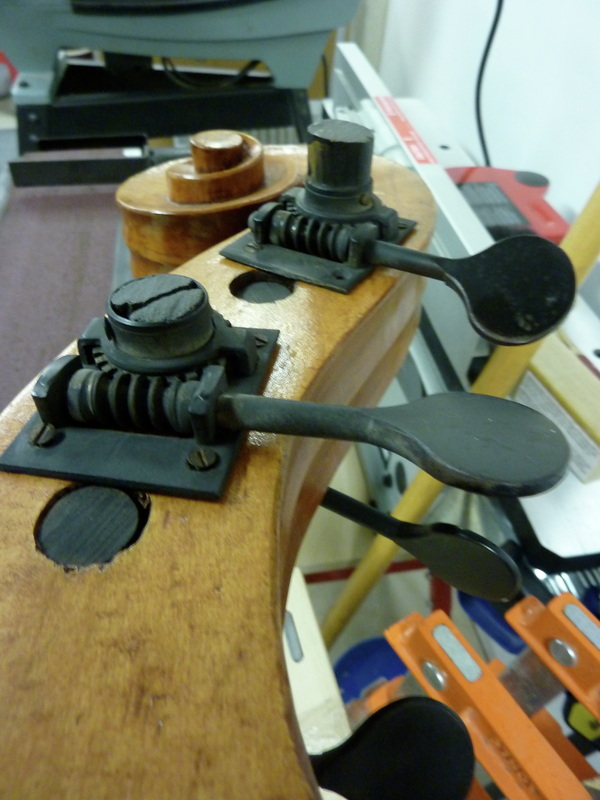 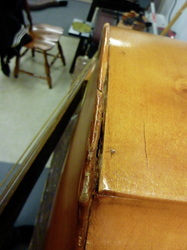 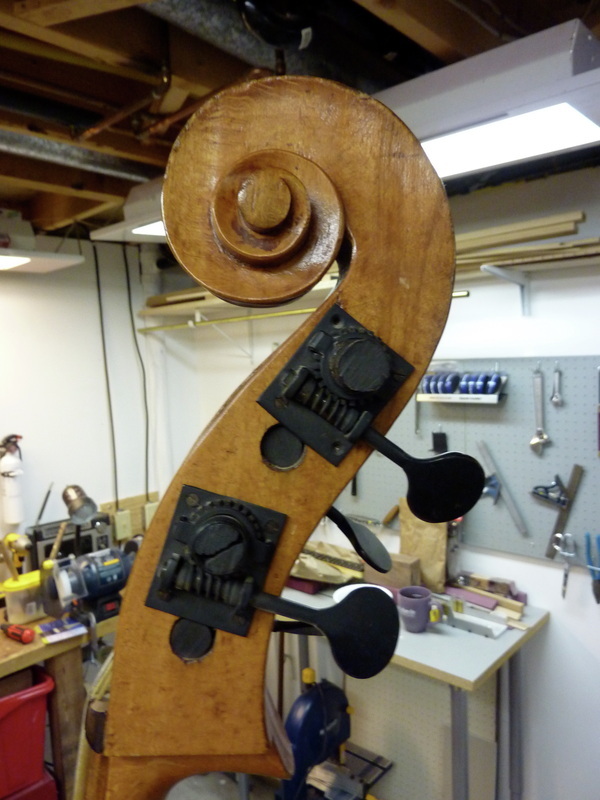 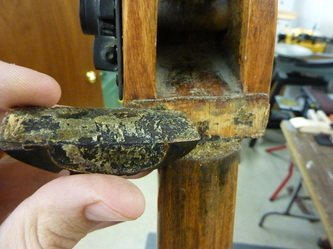 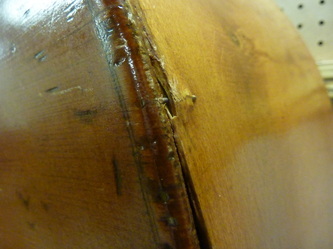 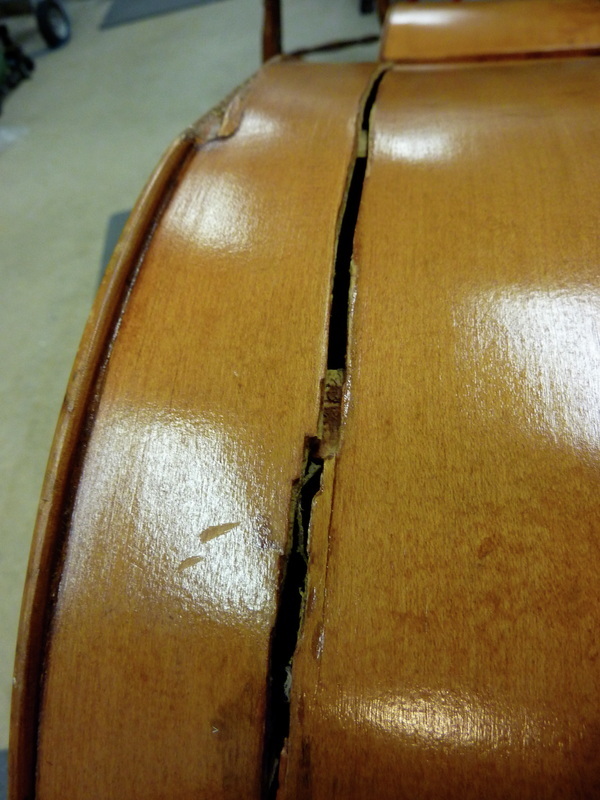 Yes, this bass has seen its share of bad weather hard times. 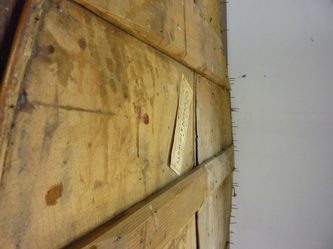 Yes, there are nails holding the back and the top on. 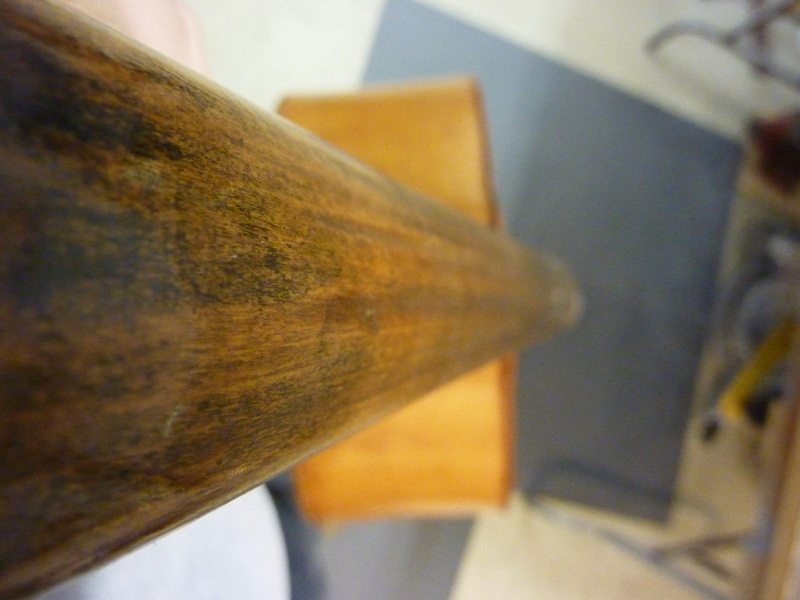 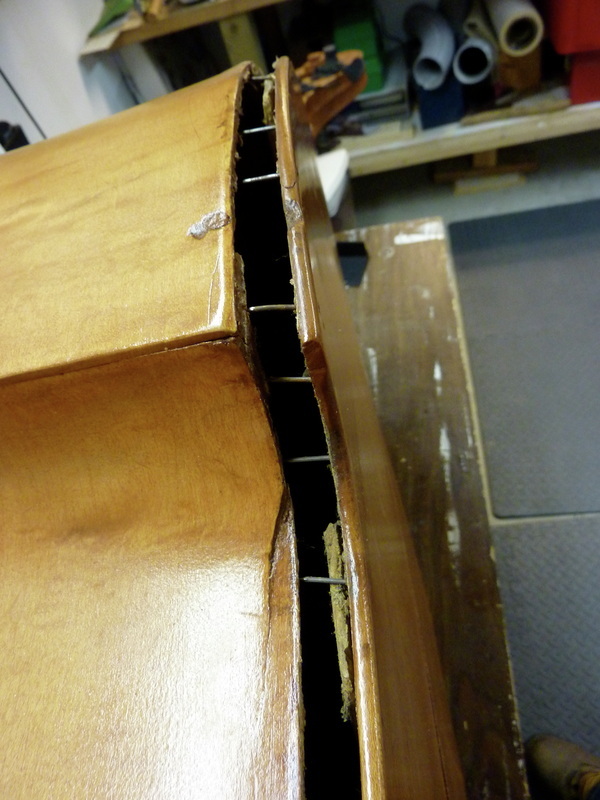 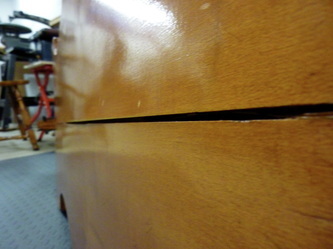 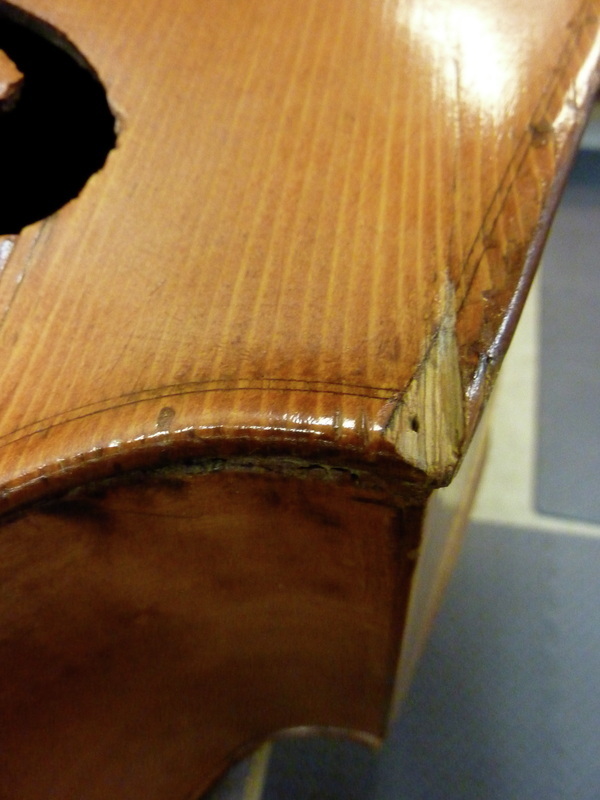 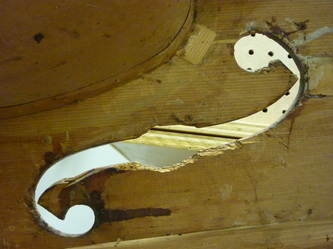 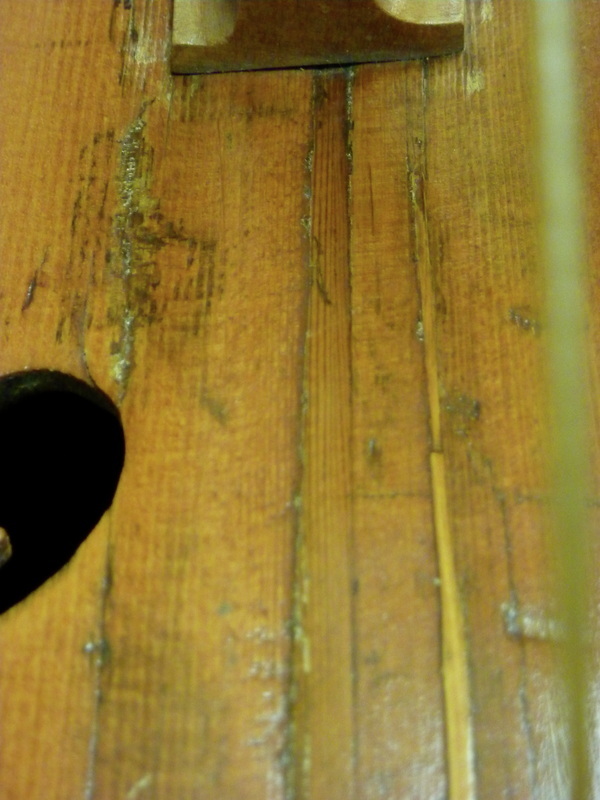 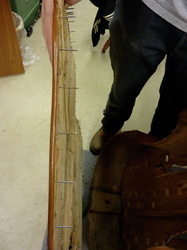 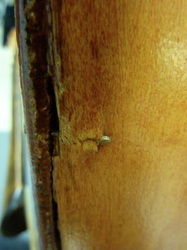 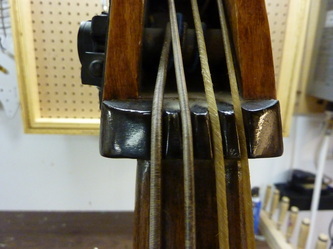 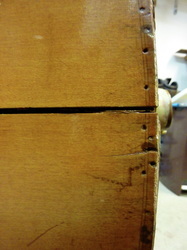 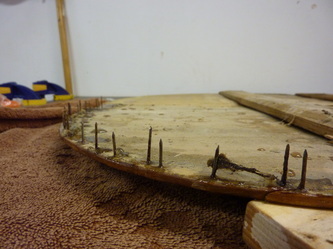 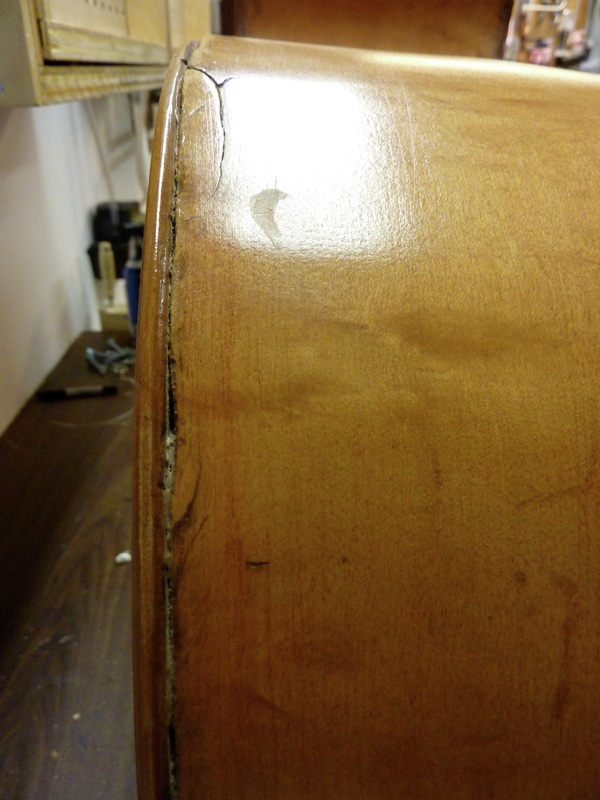 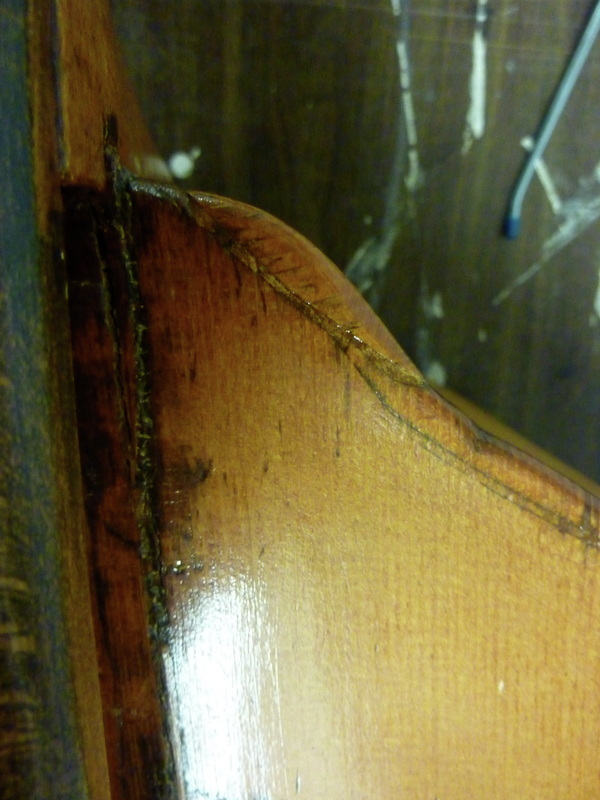 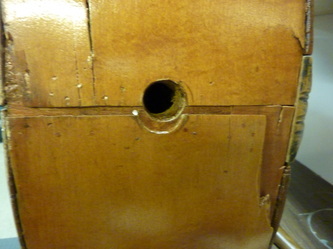 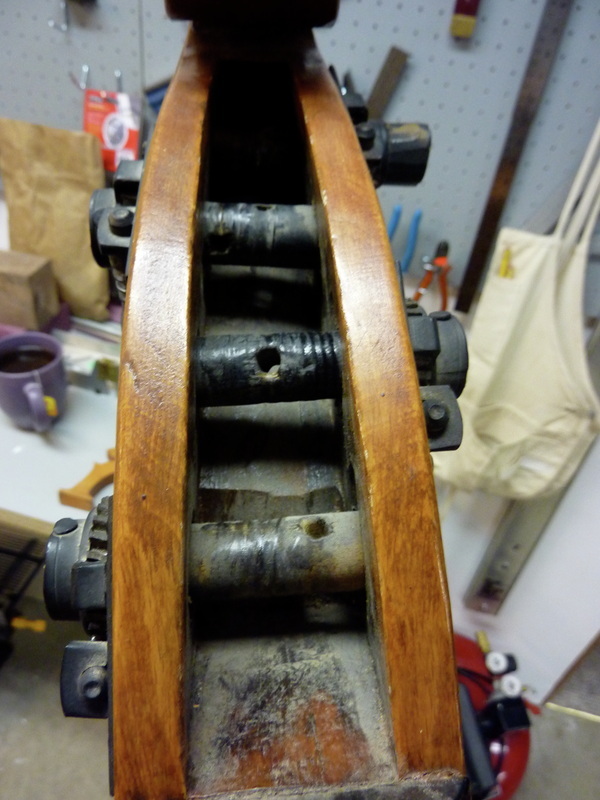 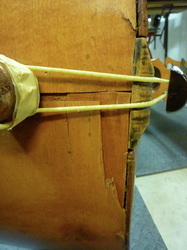 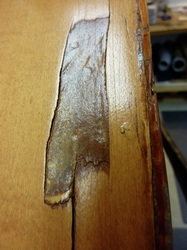 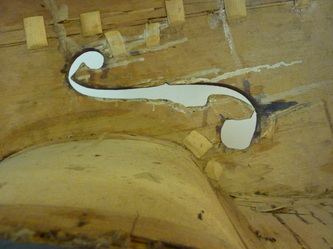 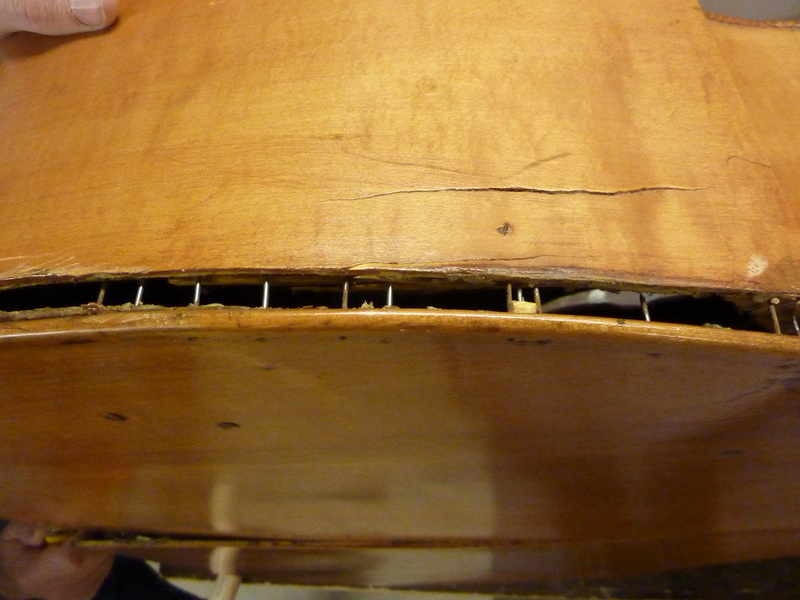 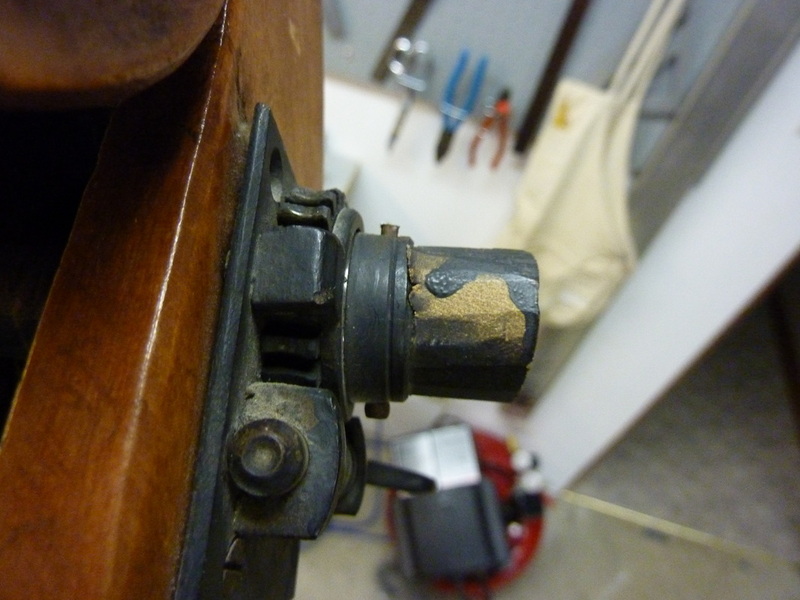 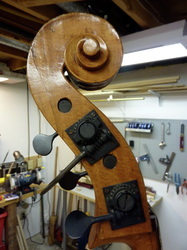 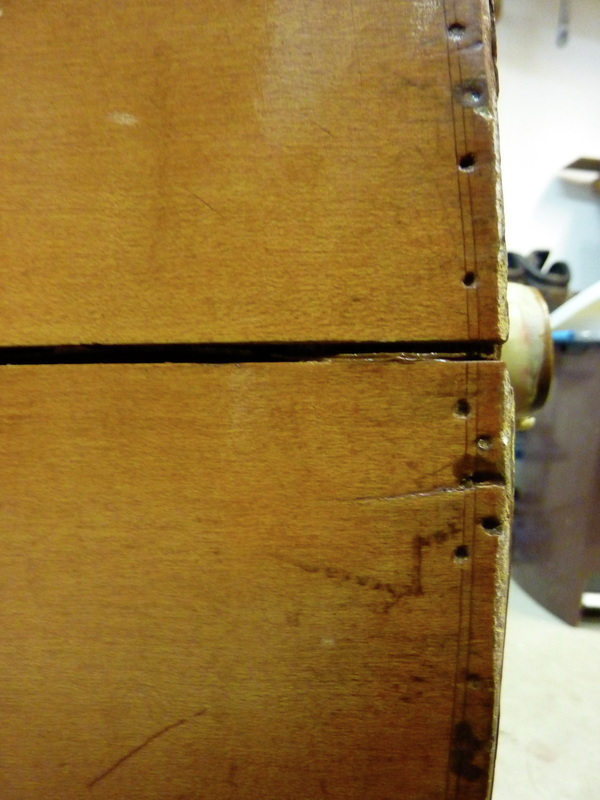 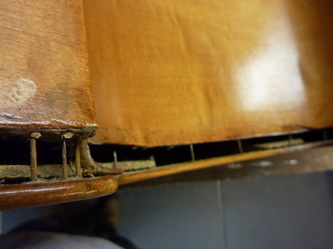 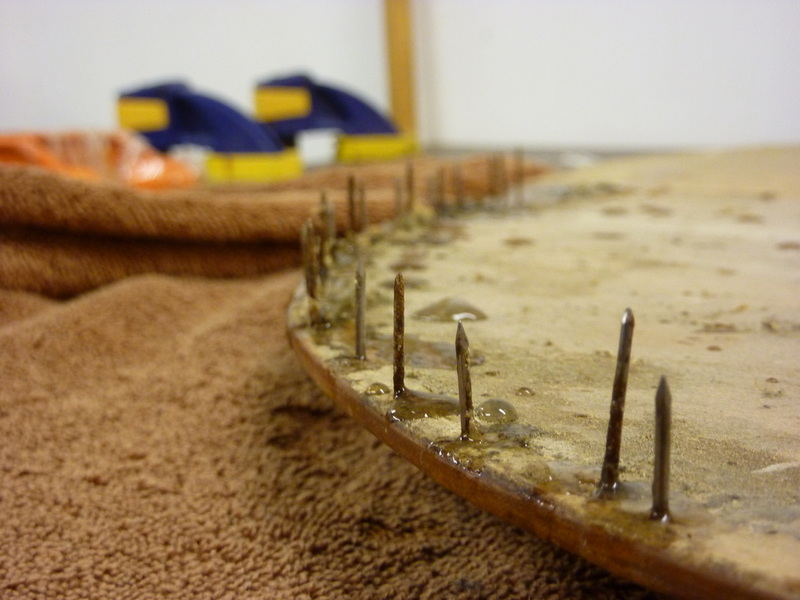 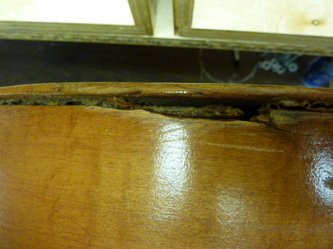 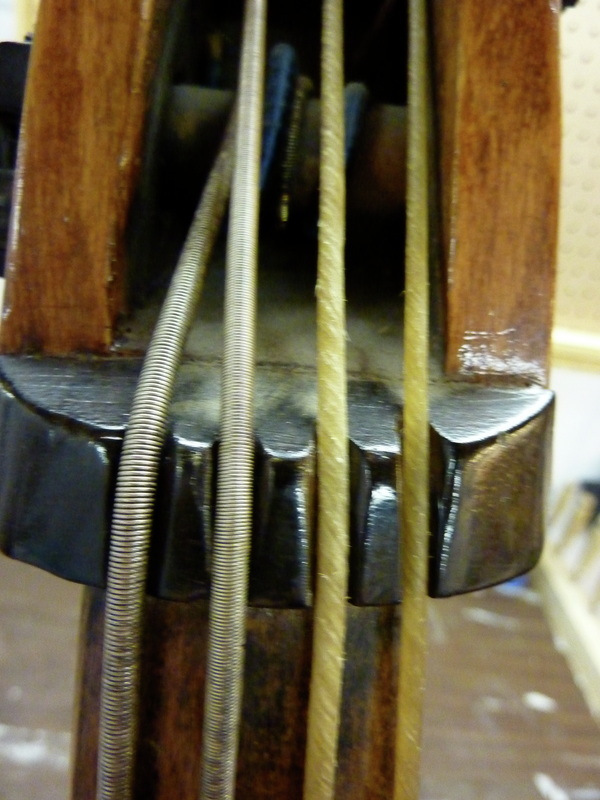 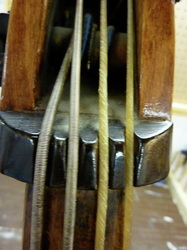 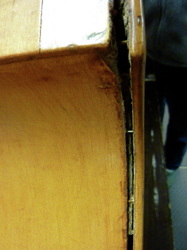 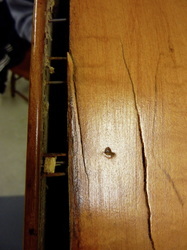 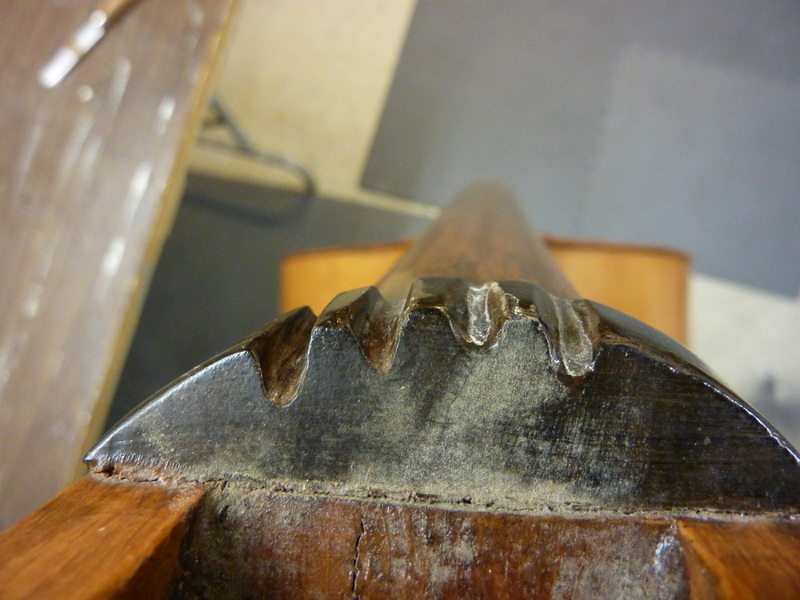 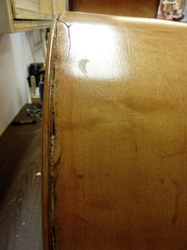 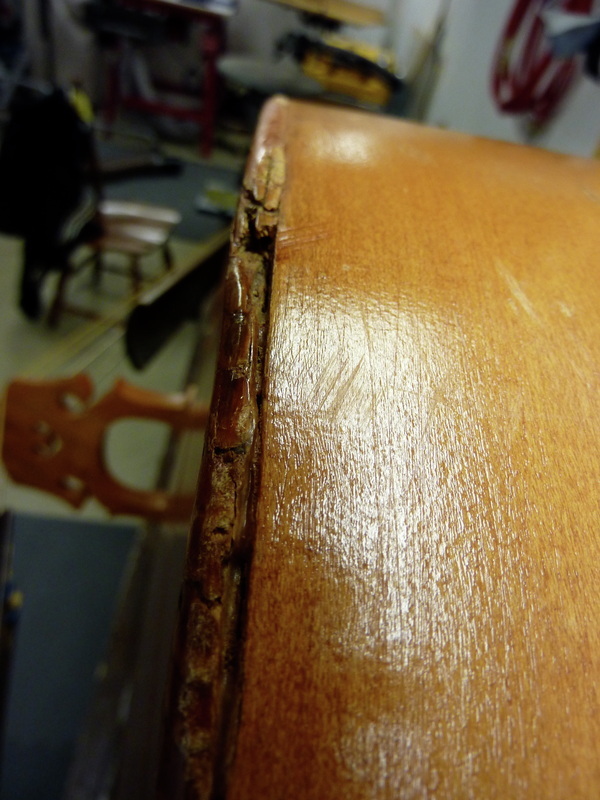 Some previous repair person (I won't call them a professional, to say the least) chose to use nails to keep this bass from falling apart. 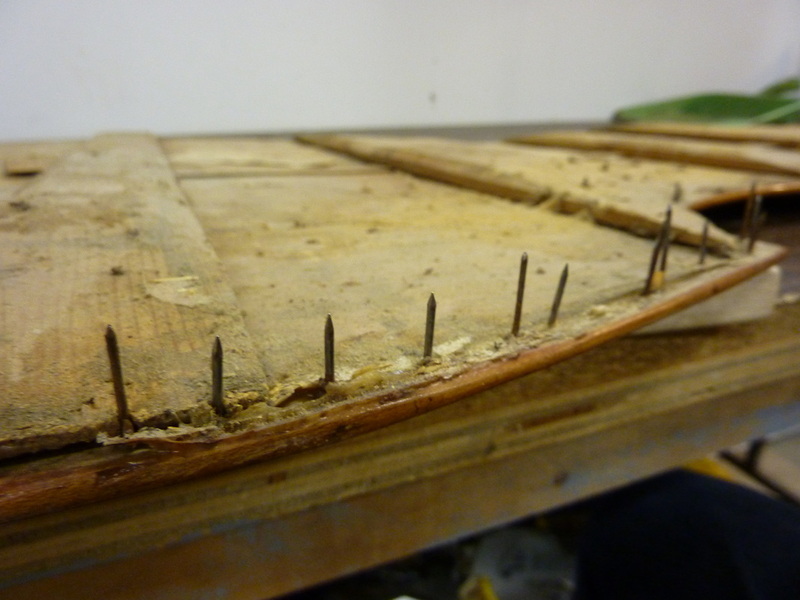 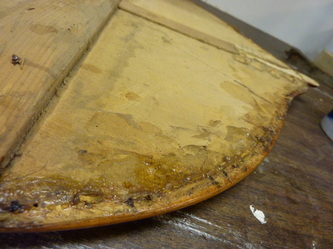 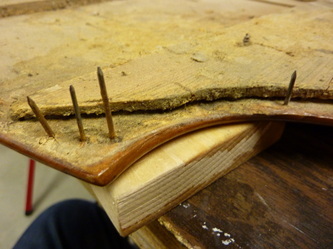 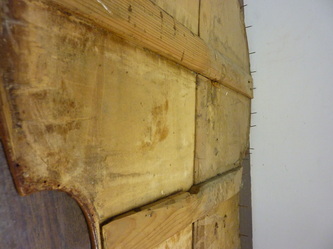 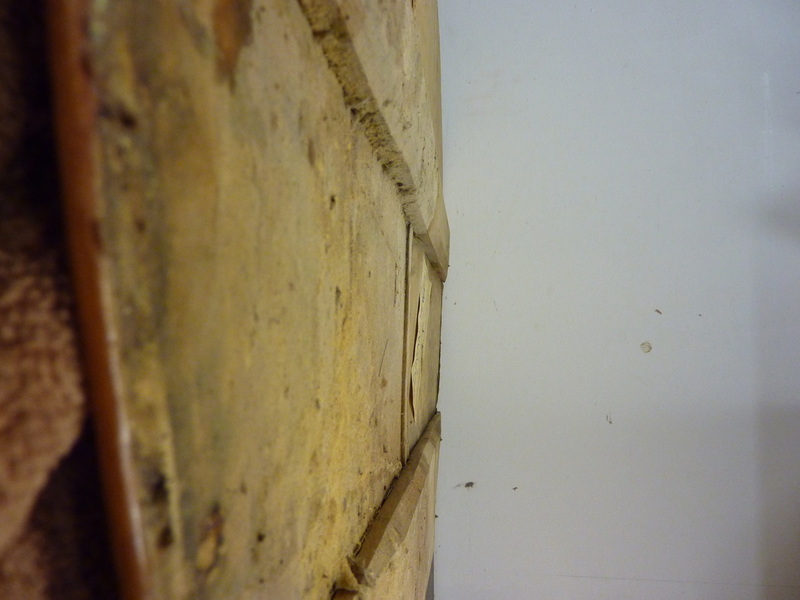 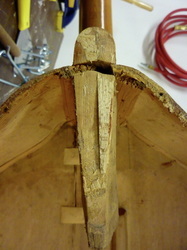 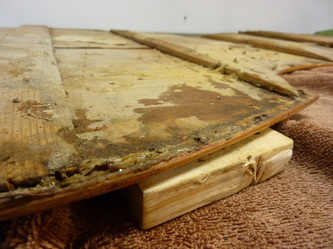 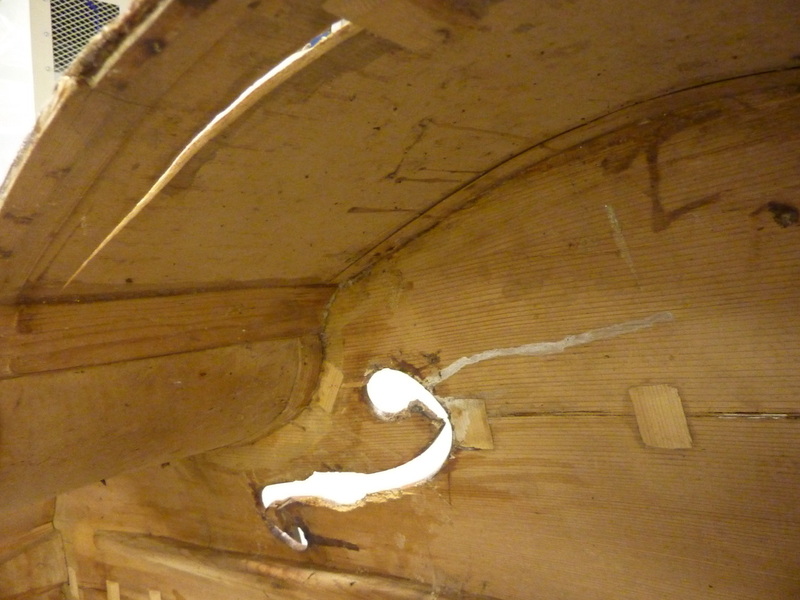 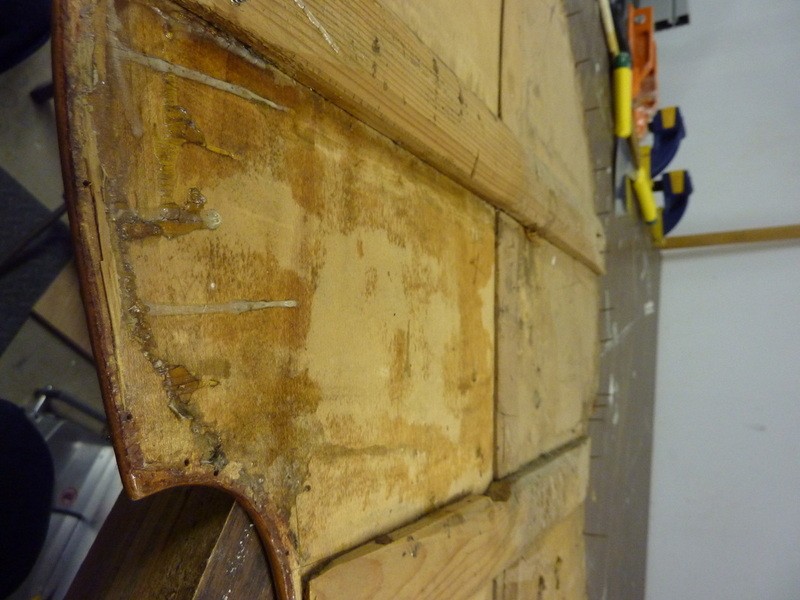 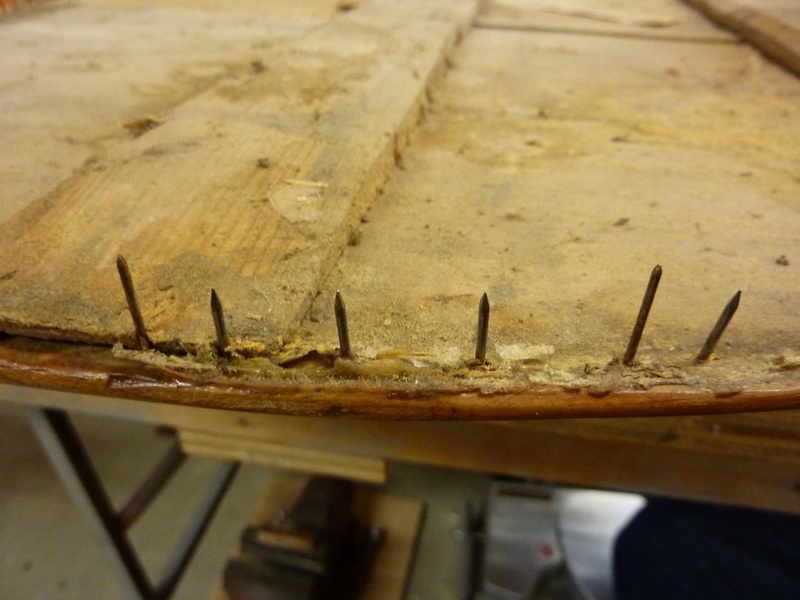 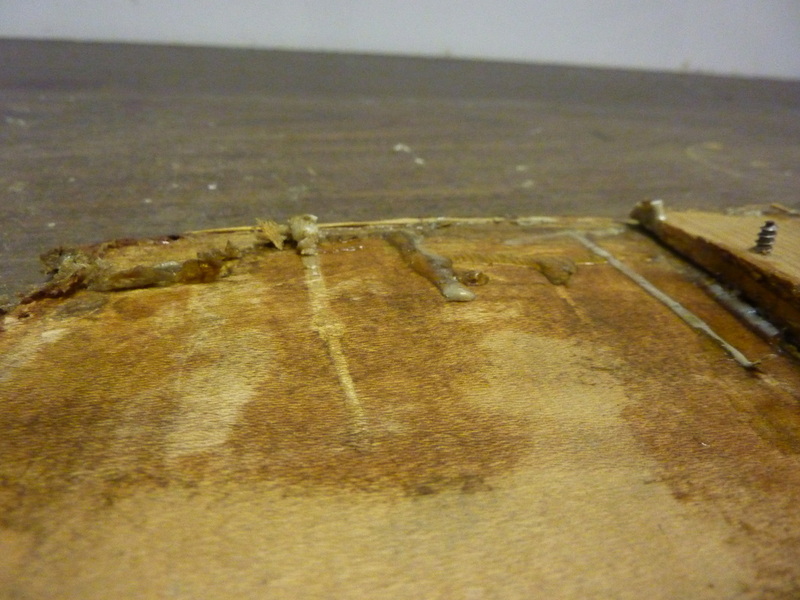 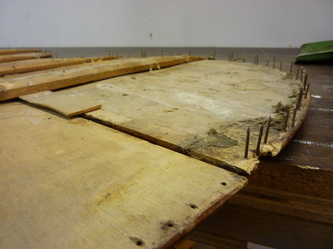 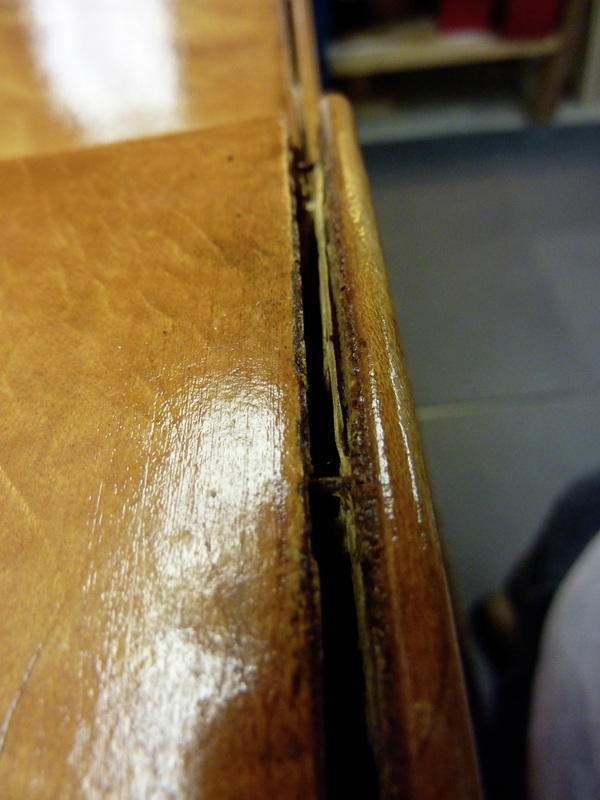 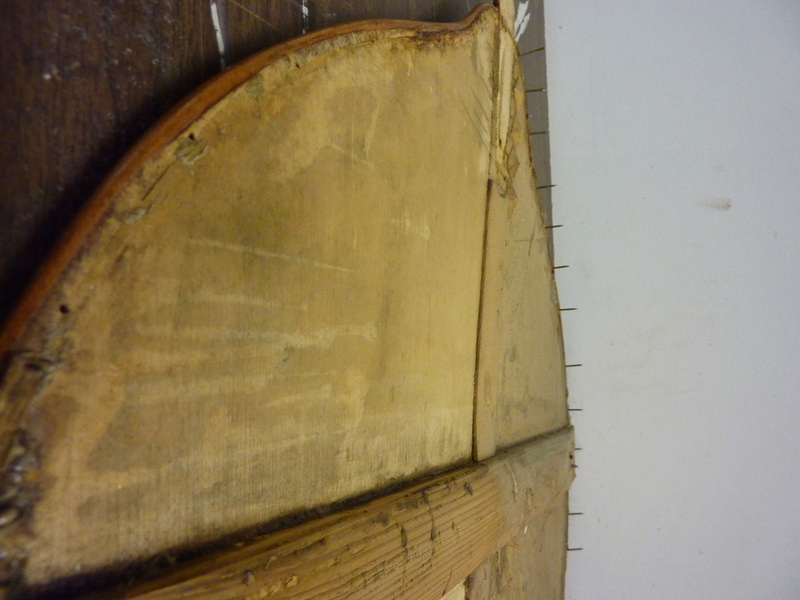 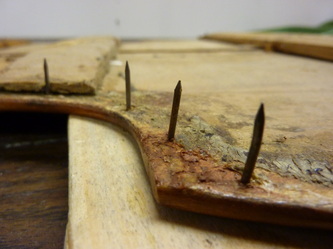 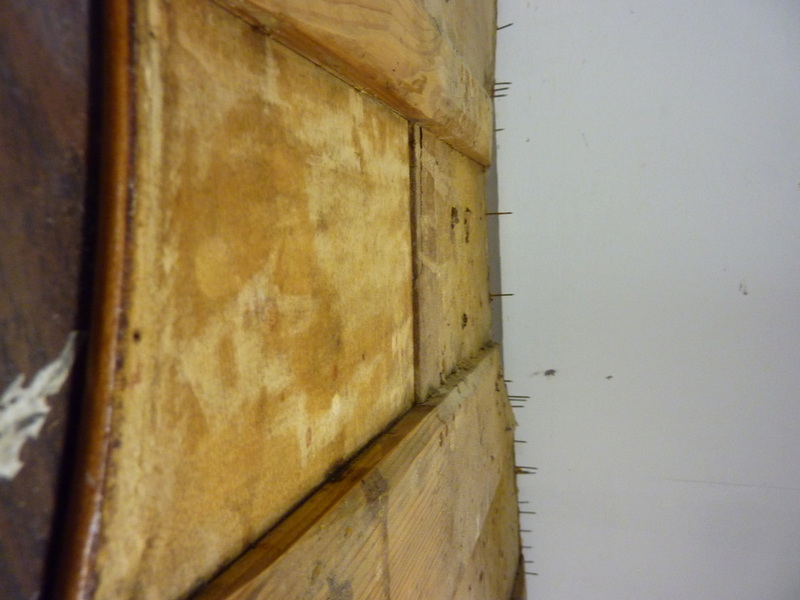 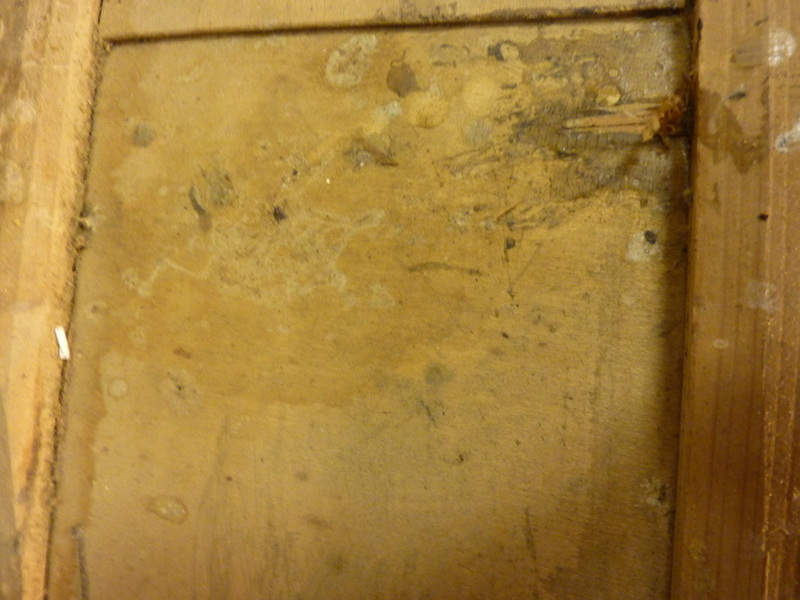 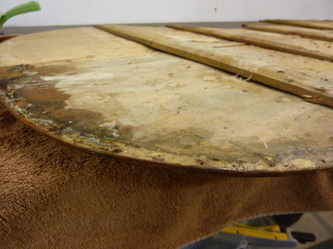 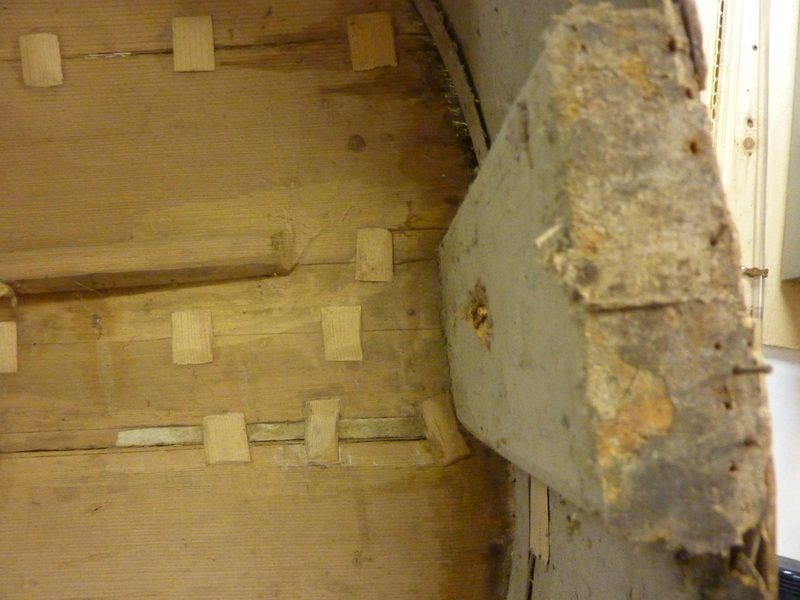 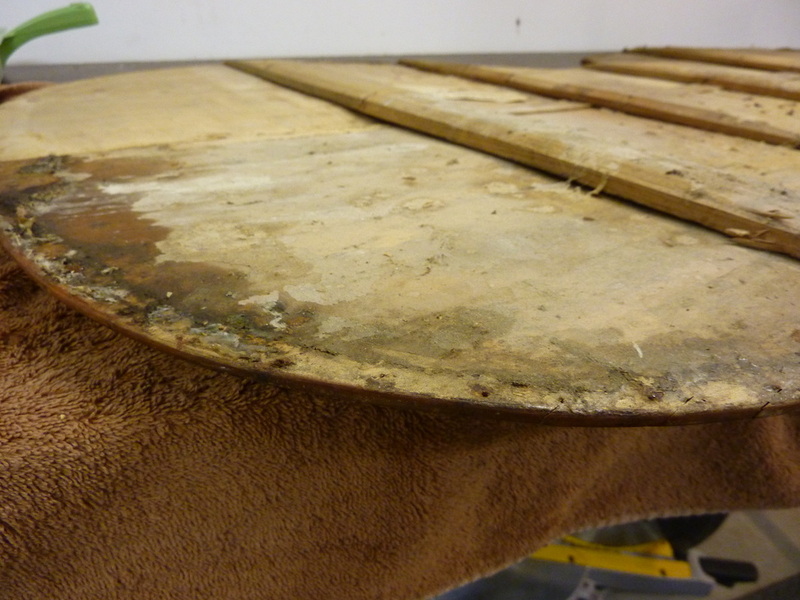 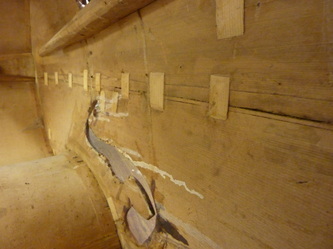 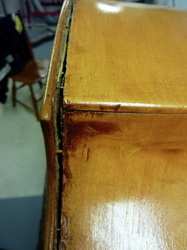 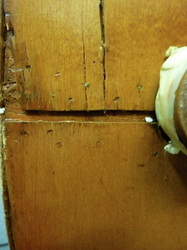 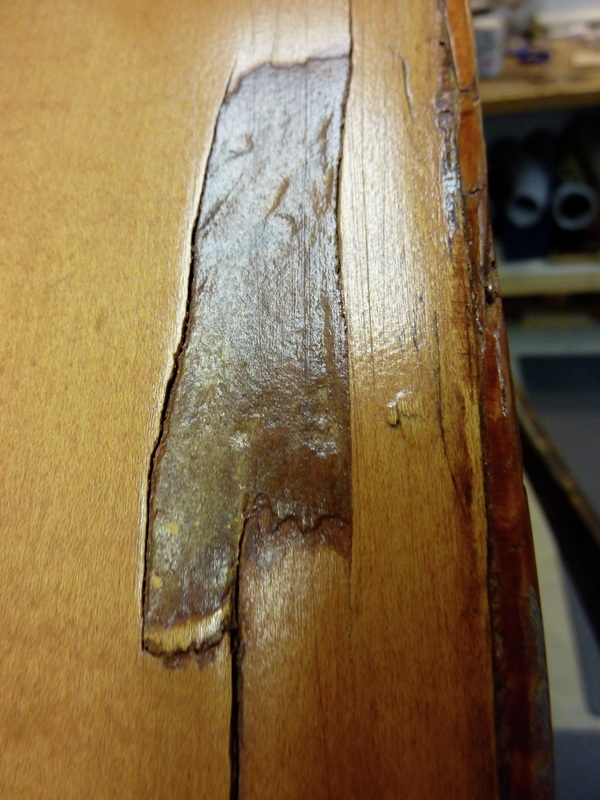 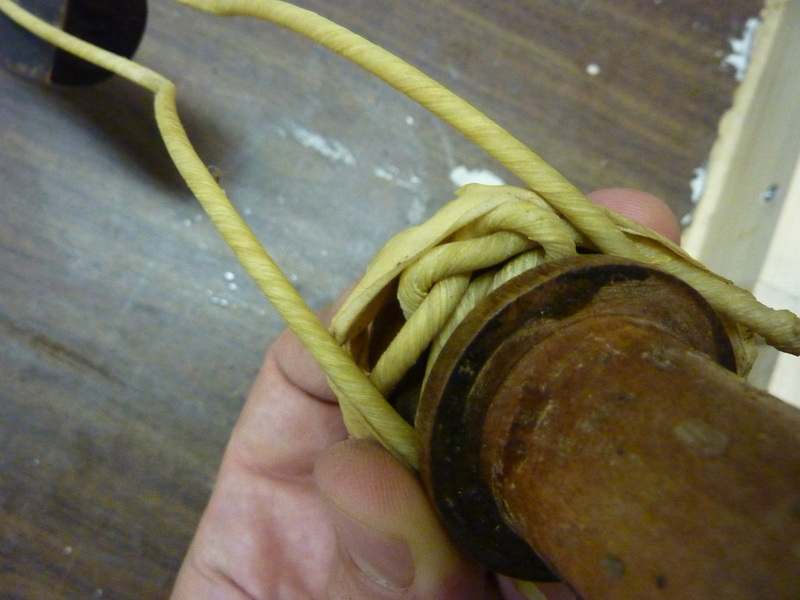 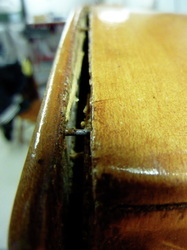 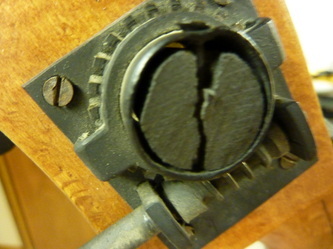 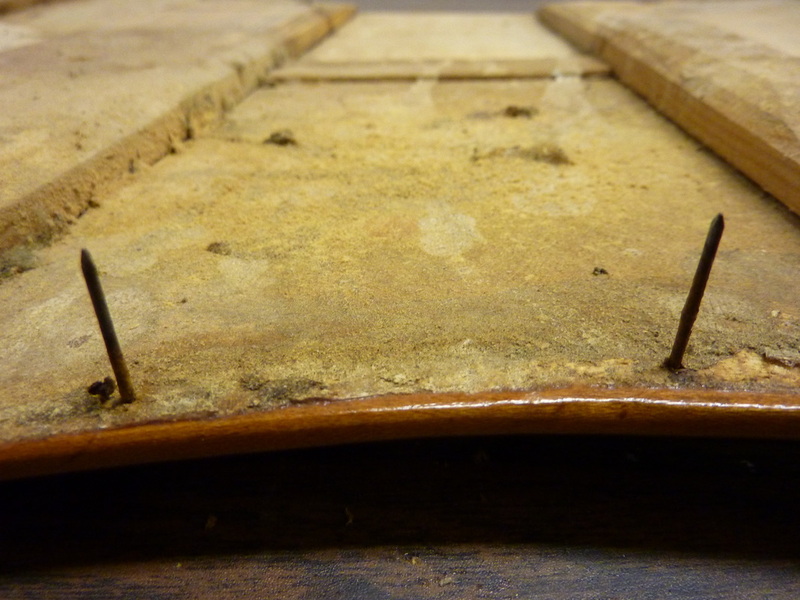 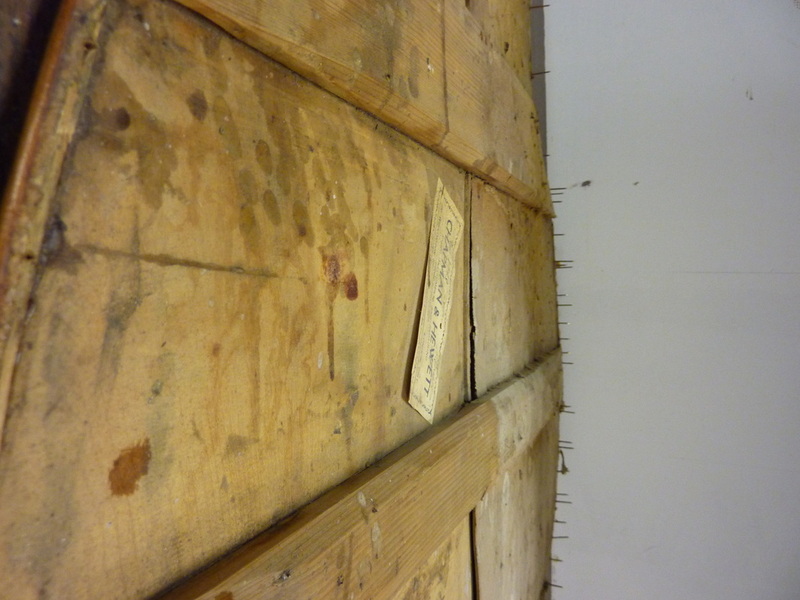 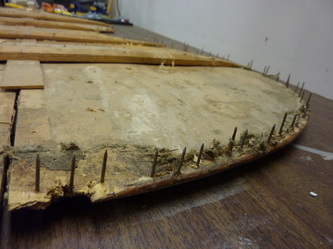 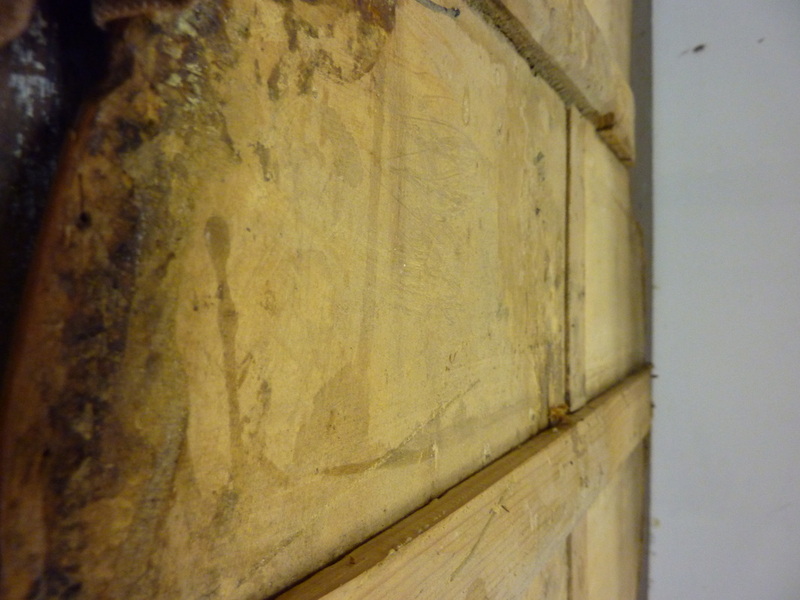 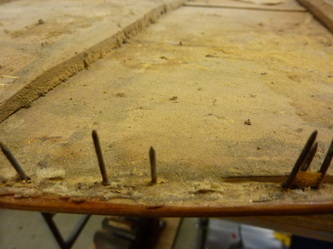 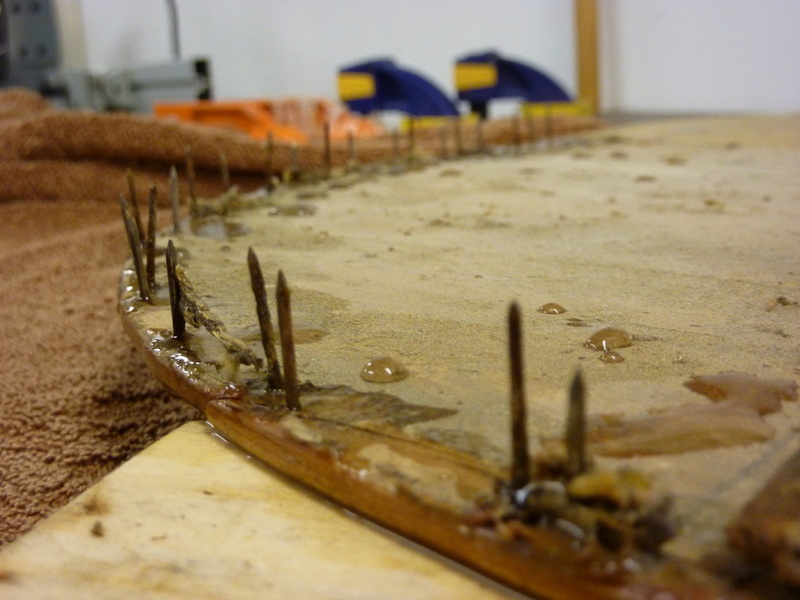 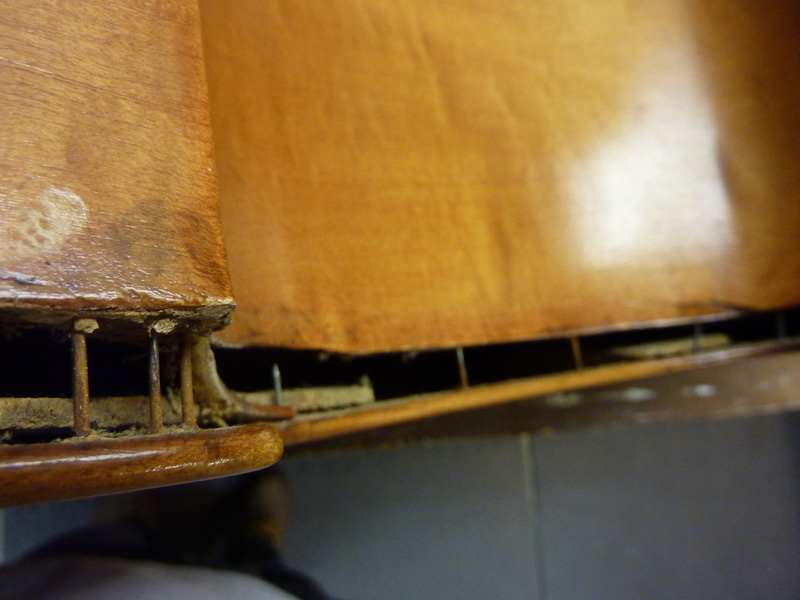 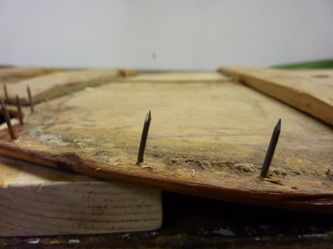 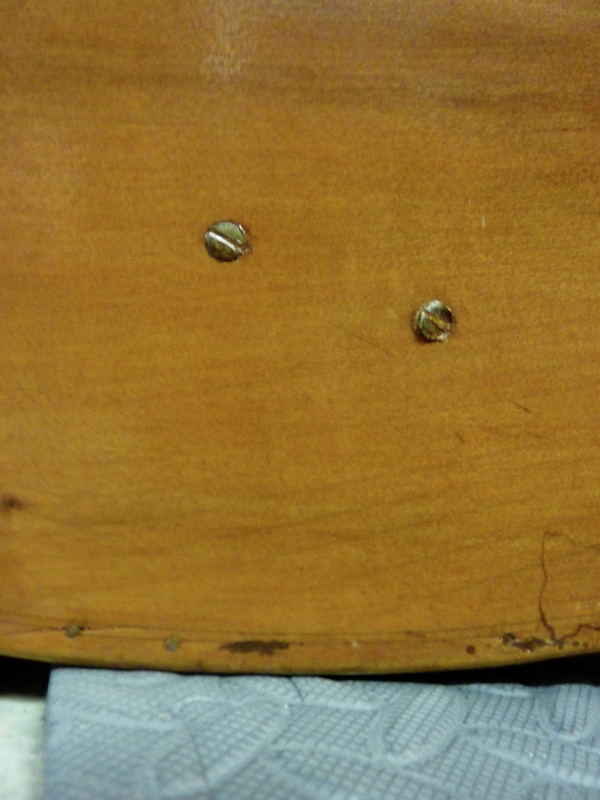 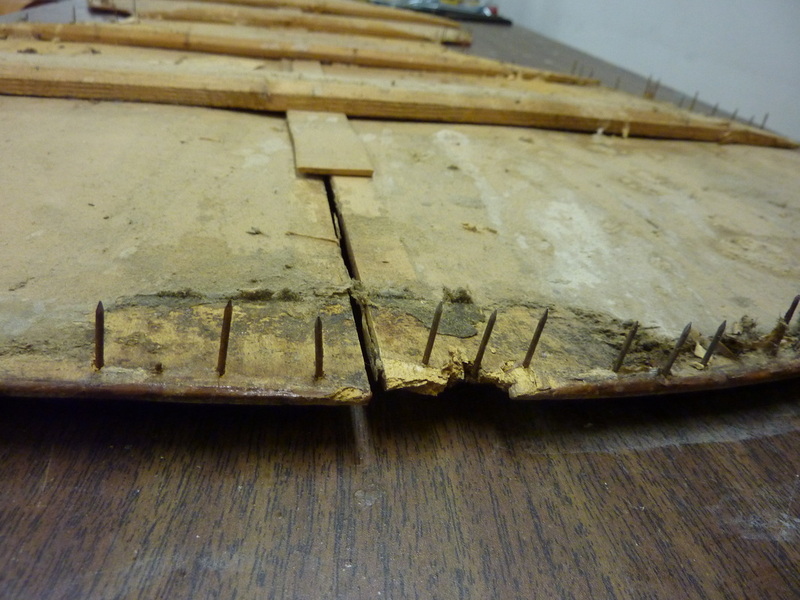 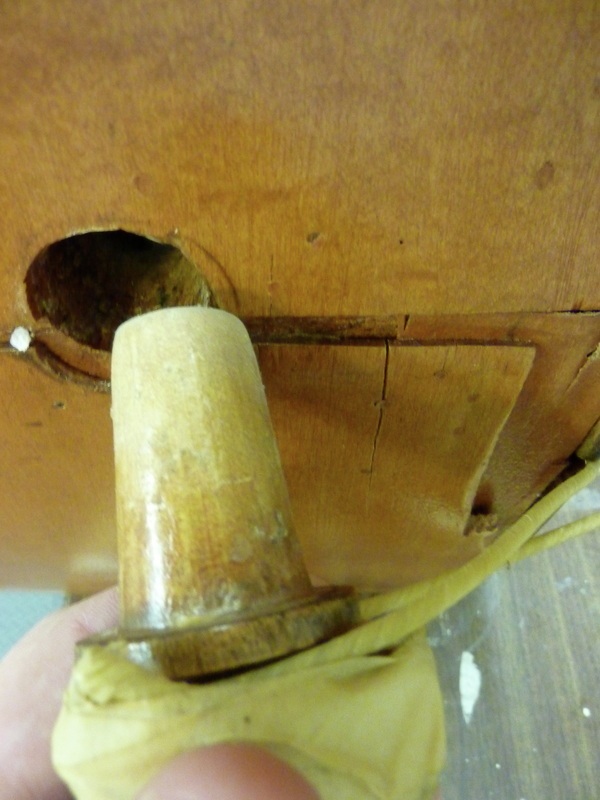 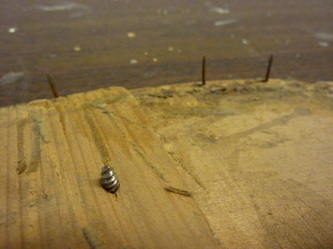 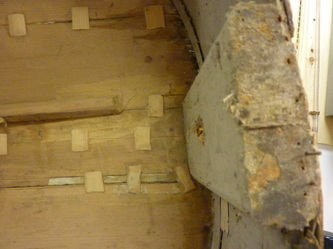 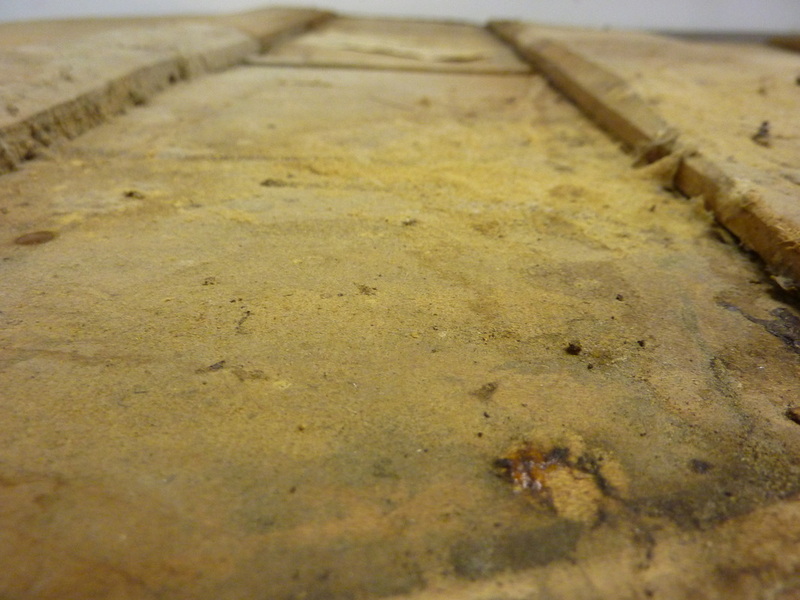 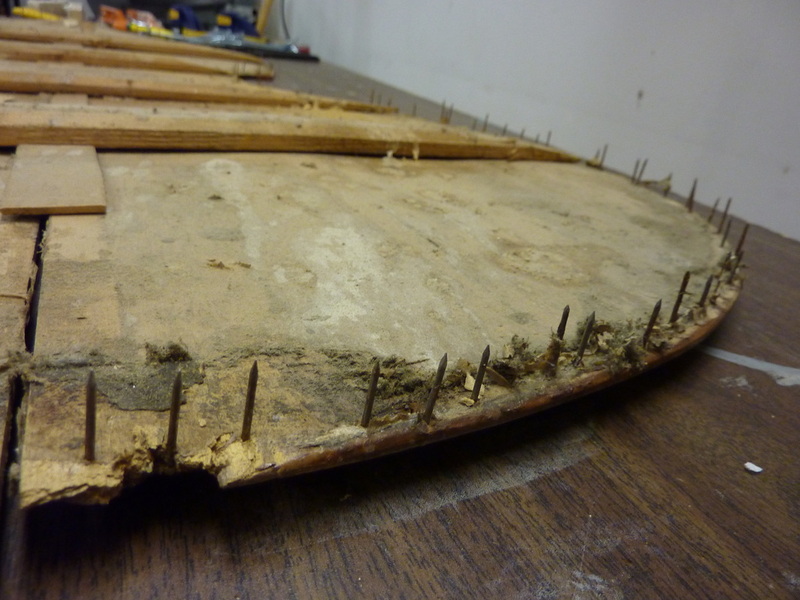 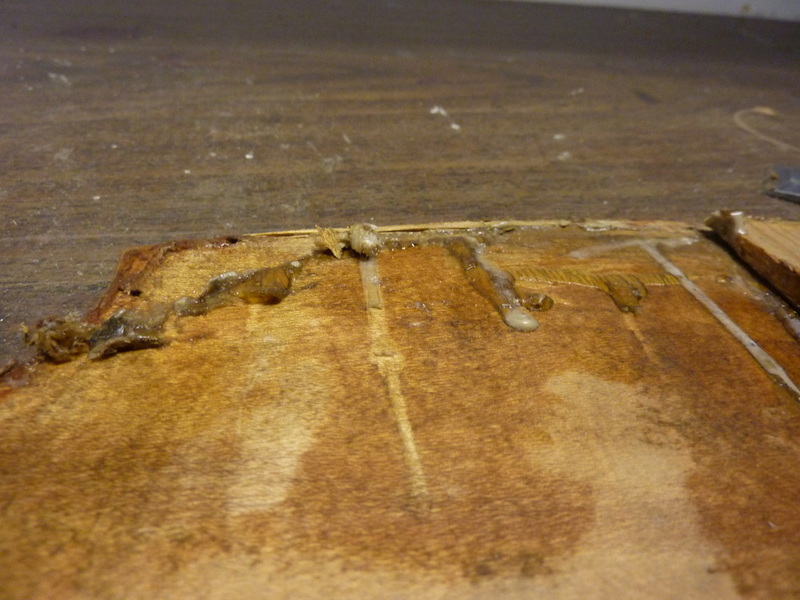 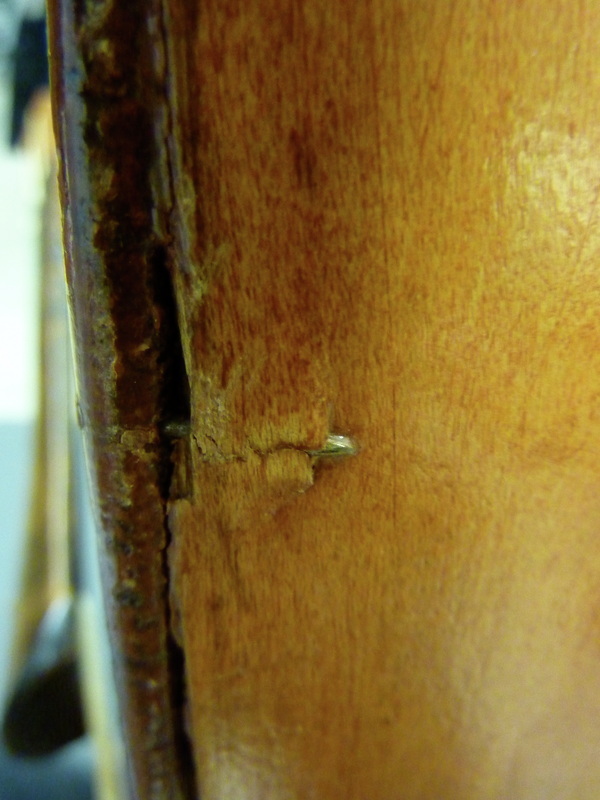 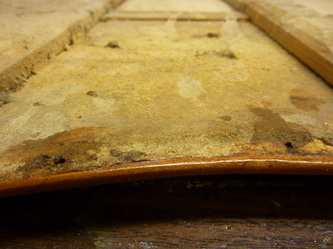 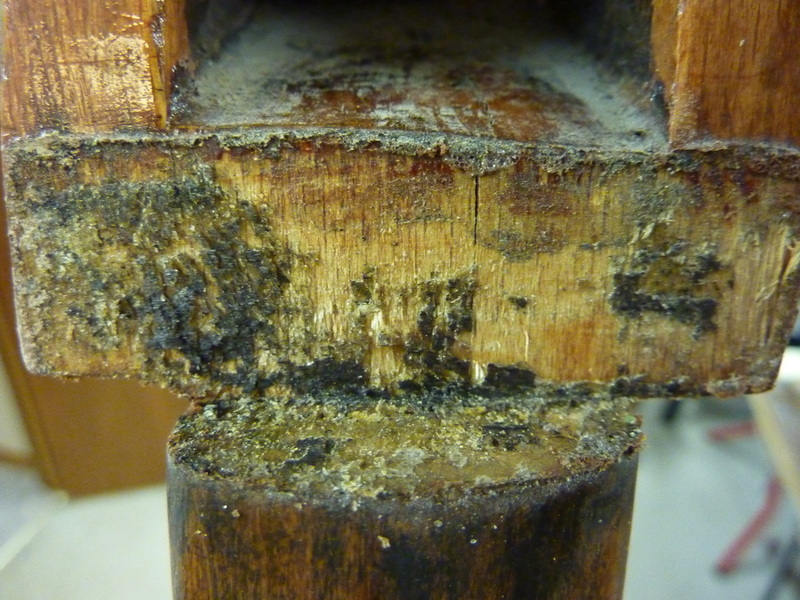 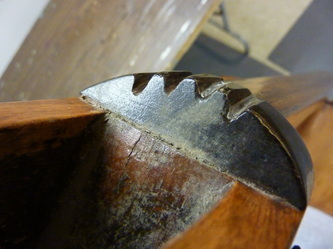 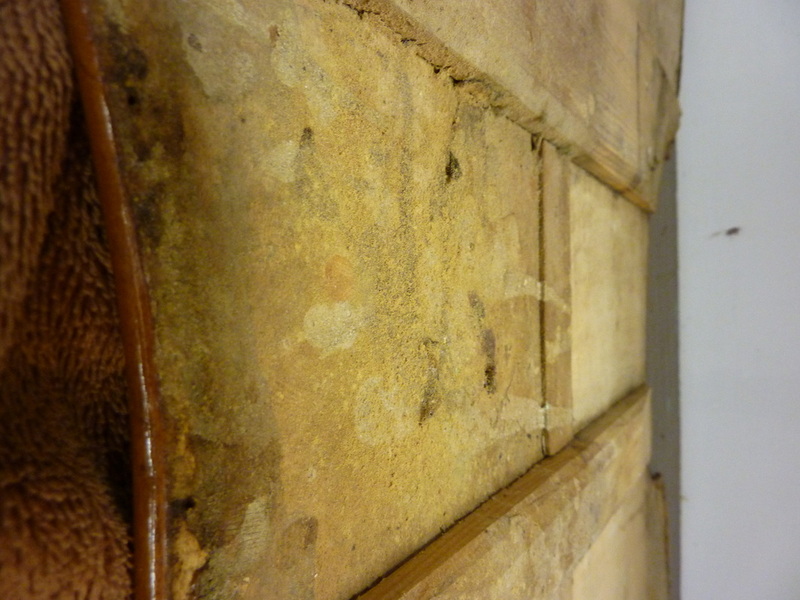 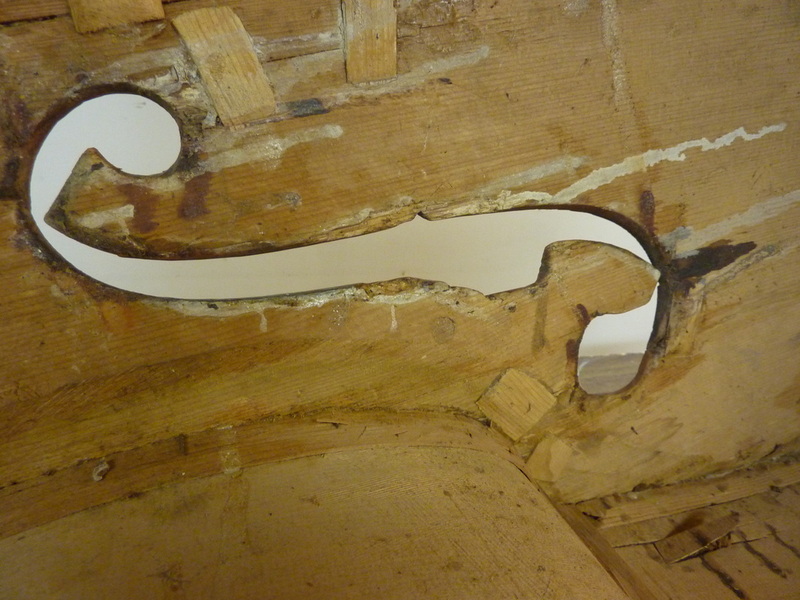 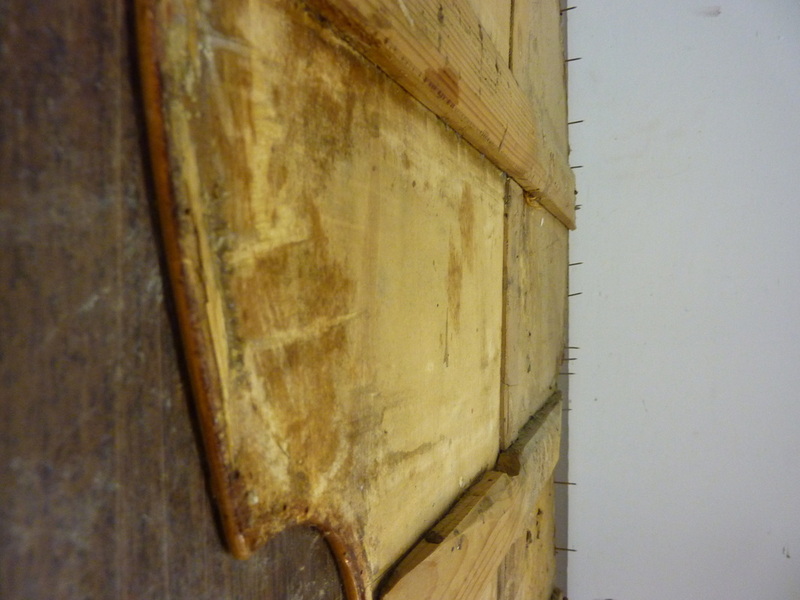 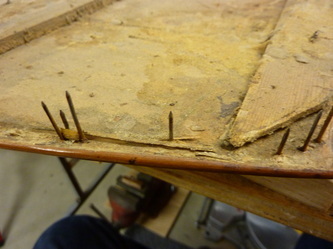 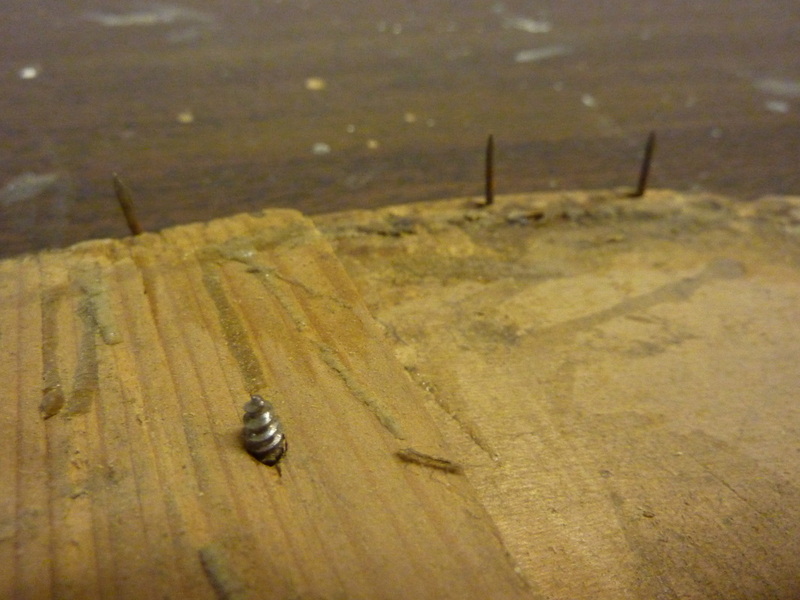 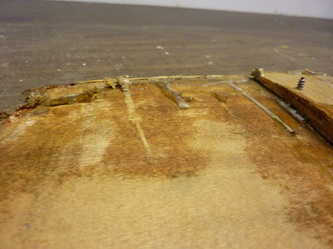 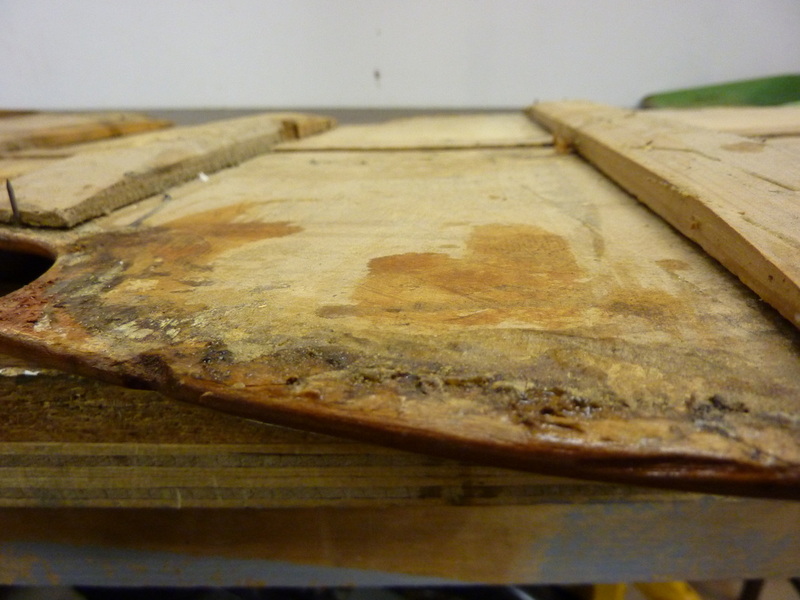 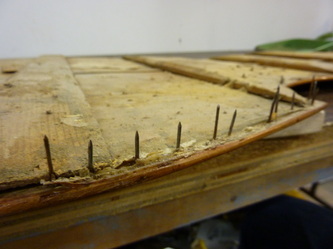 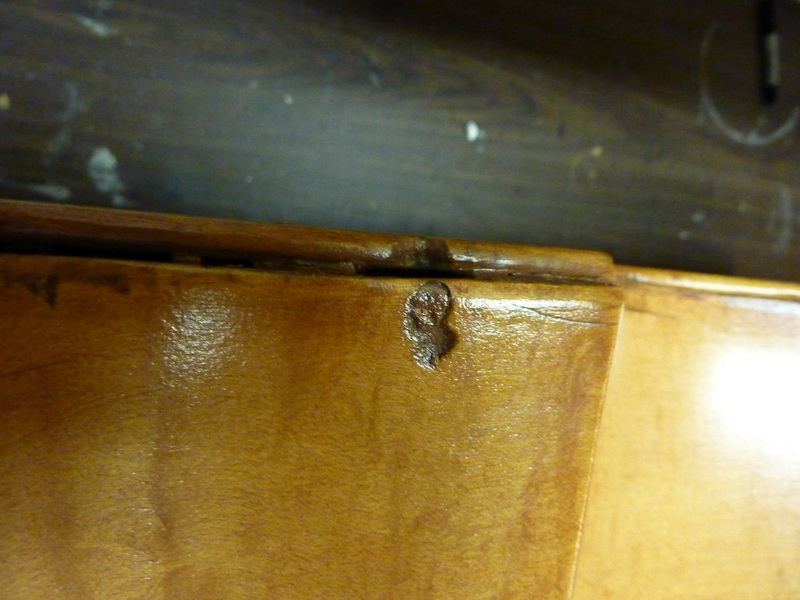 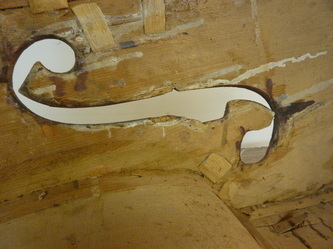 This has caused many problems, including bulges where the nails are poking and expanding the ribs, some nails portruding out from the ribs and lots of splintered wood everywhere. 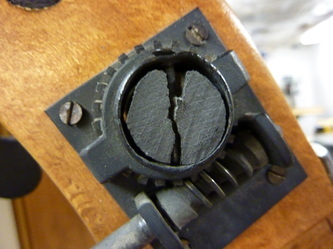 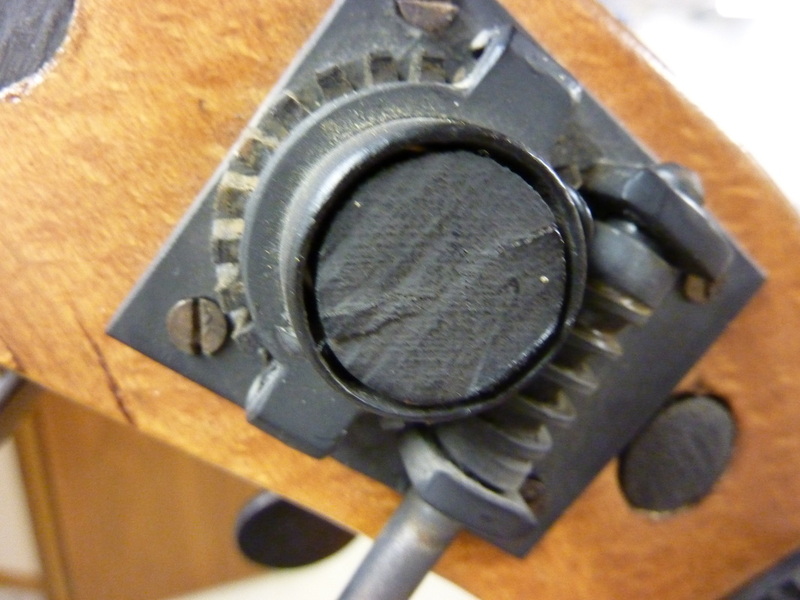 The hatpeg tuners have been broken off. 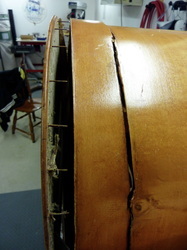 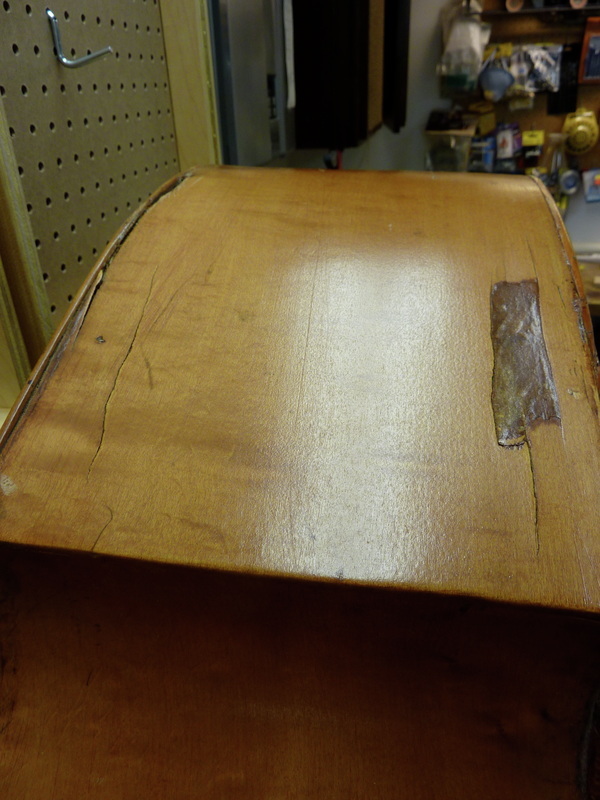 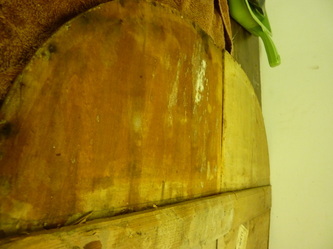 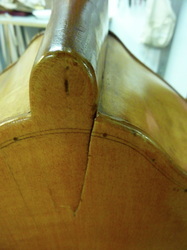 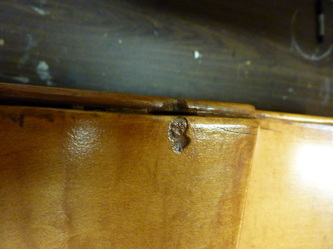 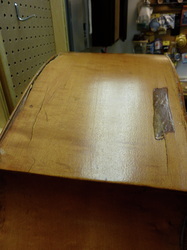 There is a large seam that has opened up across the back too. The braces were screwed in place through the back plate. 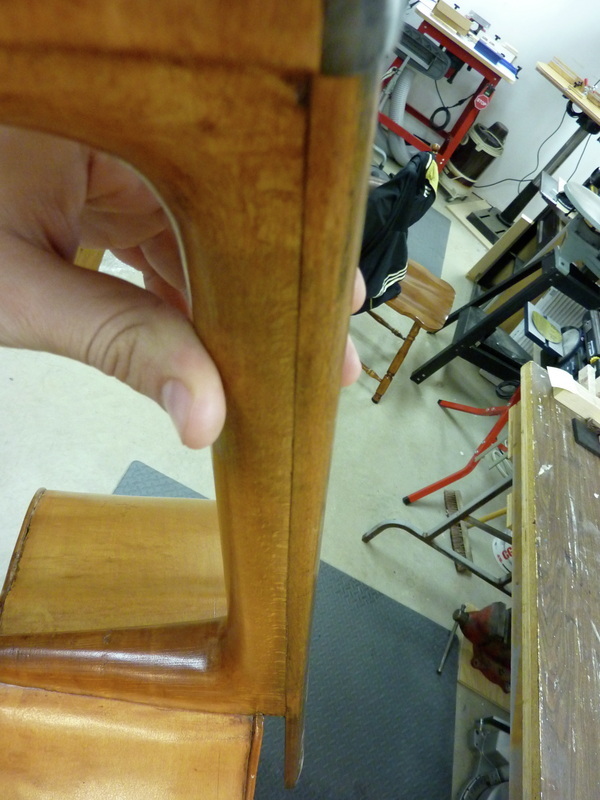 The finish is another mystery. 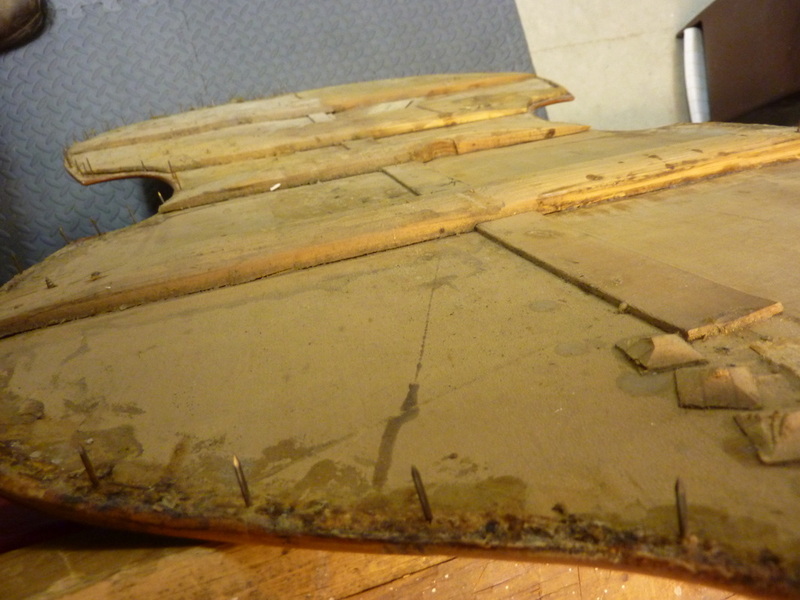 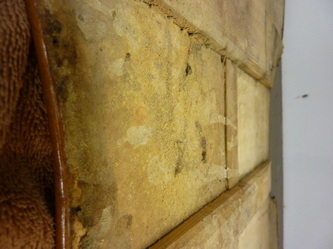 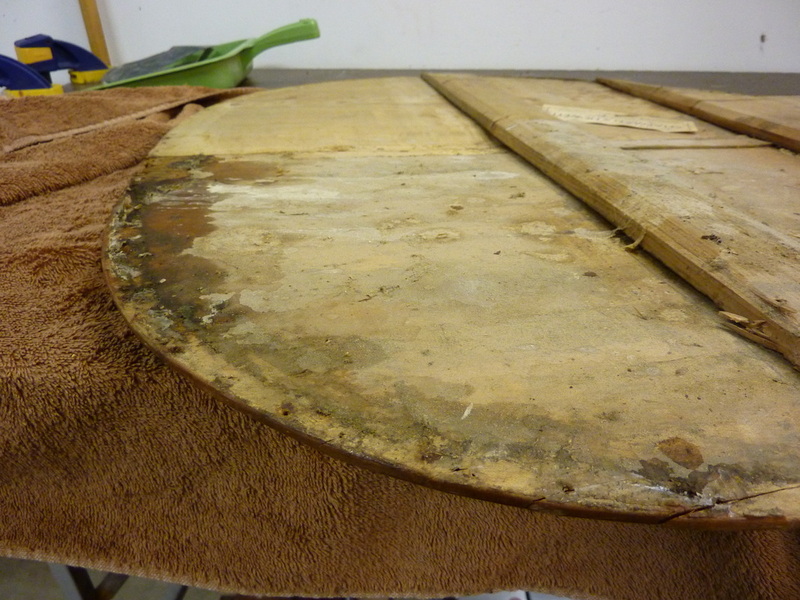 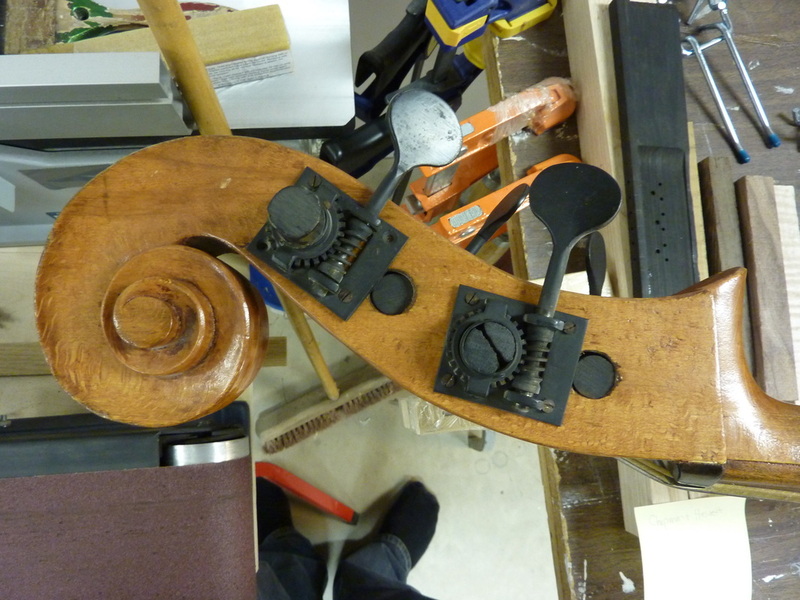 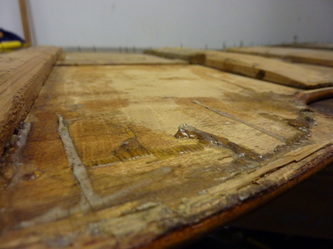 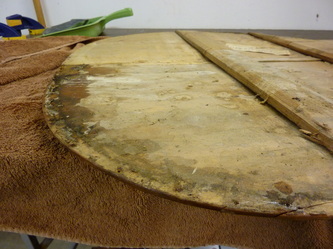 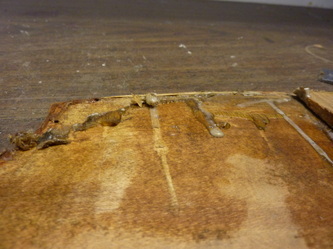 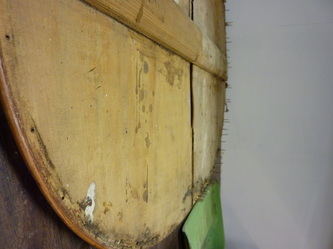 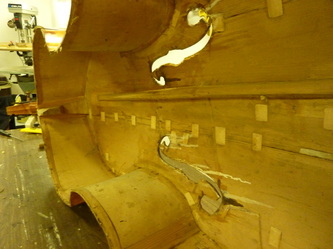 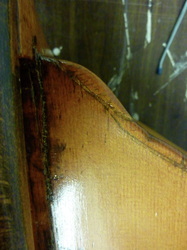 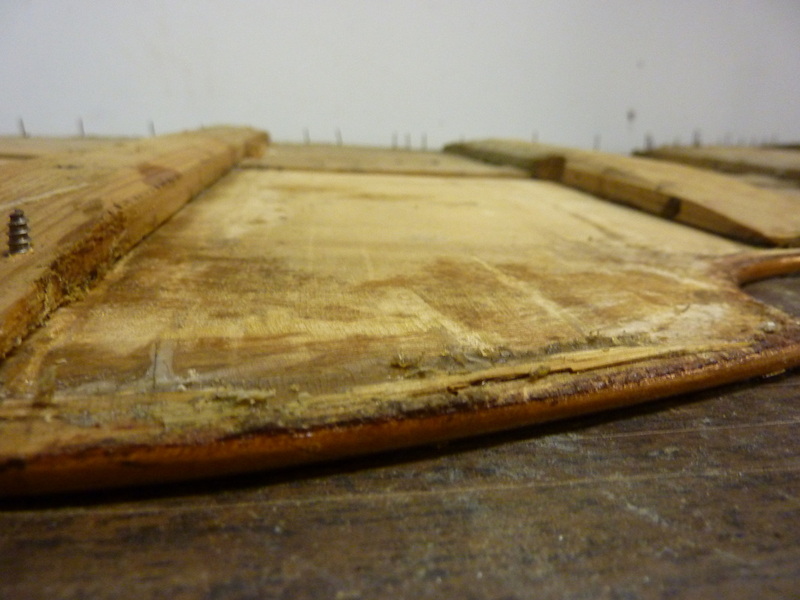 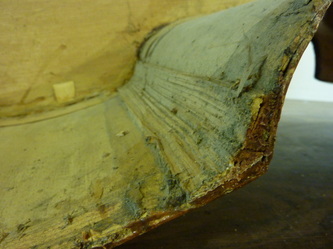 It appears to have been stripped of its darker varnish and then clear coated...including the bridge, nut and saddle!